	Alzheimer’s Association. “10 Early Signs and Symptoms of Alzheimer's” Accessed March, 2017. http://www.alz.org/alzheimers_disease_10_signs_of_ alzheimers.asp? type=carecenter_footer. CDC. 2016. “Alzheimer’s Disease.” Last updated October 17, 2016. https://www.cdc.gov/chronicdisease/resources/publications/aag/alzheimers.htm. Alzheimer’s Foundation of America. 2016. “About Alzheimer’s Disease.” Last updated January 26, 2016. http://www.alzfdn.org/AboutAlzheimers/definition.html. Alzheimer’s Association. “10 Early Signs and Symptoms of Alzheimer's” Accessed March, 2017. http://www.alz.org/alzheimers_disease_10_signs_of_ alzheimers.asp?type=carecenter_footer. Google Patents. “7,459,476” Accessed March, 2017. https://patents.google. com/patent/US7459476B2/en. Profile. “Varghese John” Mary S. Easton Center Accessed March, 2017. http://www.adc.ucla.edu/about-us/faculty-and-staff/item/john-varghese-phd. Elan Pharmaceuticals, Inc. Bloomberg Accessed March, 2017. http://www. Drug Discovery Lab. “About Us” Accessed March, 2017. https://drugdiscovery. Google Patents. “7,456,269” Accessed March, 2017. Mark E. Gurney. “About” Tetra Accessed March, 2017. http://tetradiscovery.com/ about/. Google Patents. “7,456,163” Accessed March, 2017. https://patents.google.com/ patent/US7456163B2/en. Shon R. Pulley. “LinkedIn Profile” Accessed March, 2017. https://www.linkedin. com/in/shonpulley/. Pharmacia & Upjohn. “About” Accessed March, 2017. http://www.pfizer.com/ about/history/pfizer_pharmacia. Google Patents. “7,449,599” Accessed March, 2017. https://patents.google.com/ patent/US7449599B2/en. Bloomberg. “Joseph P. Vacca” Accessed March, 2017. http://www.bloomberg. com/research/stocks/private/person.asp?personId=215090618&privcapId=319031486. Vacca, Joseph P. 2012. “Approaches Toward New Alzheimer's Treatments “ACS Medicinal Chemistry Letters Nov 8; 3(11): 861. doi: 10.1021/ml3003555. https://www.ncbi.nlm.nih.gov/pmc/articles/PMC4025744/. Google Patents. “7,432,389” Accessed March, 2017. https://patents.google.com/ patent/US7432389B2/en. Mary S. Easton Center. “John Varghese” Accessed March, 2017. http://www.adc. ucla.edu/about-us/faculty-and-staff/item/john-varghese-phd. Google Patents. “7,429,397” Accessed March, 2017. https://patents.google.com/ patent/US7429397B2/en. Wikipedia. “Palpu Pushpangadan” Accessed March, 2017. https://en.wikipedia. org/wiki/Palpu_Pushpangadan. Wikipedia. “Council of Scientific Industrial Research” Accessed March, 2017. https://en.wikipedia.org/wiki/Council_of_Scientific_and_Industrial_Research. Google Patents. “7,427,392” Accessed March, 2017. https://patents.google.com/ patent/US7427392B1/en. Bloomberg. “Dale B. Schenk” Accessed March, 2017. https://www.bloomberg. com/news/articles/2016-09-30/dale-b-schenk-prothena-corp-co-founder-and-ceo-dies-at-59. Google Patents. “7,408,027” Accessed March, 2017. https://patents.google.com/ patent/US7408027B1/en. Cure Alzheimer’s Fund. “Eva-Maria Mandelkow” Accessed March, 2017. http://curealz.org/people/eva-maria-mandelkow. DZNE. 2013. “Pioneers in Alzheimer's Research: Bonn couple honored for its lifetime achievement - The scientists Eva-Maria and Eckhard Mandelkow receive award from U.S. Alzheimer's Association” Accessed March, 2017. https://www.dzne.de/en/about-us/public-relations/news/2013/press-release-no-20.html. Wikipedia. “Max Planck Society for the Advancement of Science” Accessed March, 2017. https://en.wikipedia.org/wiki/Max_Planck_Society. Wikipedia. “7,389,776” Accessed March, 2017. https://patents.google.com/patent/ US7389776B2/en. Alzforum. “Ivan Vasilievich Maksimovich” Accessed March, 2017. https://www.alzforum.org/member-directory/ivan-maksimovich. Maksimovich, I. 2014. “EPA-1002 - Use of transcatheter laser irradiation for treatment of alzheimer's disease” European Psychology, 29(1):1, Accessed March, 2017. DOI: http://dx.doi.org/10.1016/S0924-9338(14)78300-2. Google Patents. “7,384,910” Accessed March, 2017. https://patents.google.com/ patent/US7384910B2/en. Bloomberg. “ProTeo Tech Inc.” Accessed March, 2017. http://www.bloomberg. com/research/stocks/private/snapshot.asp?privcapId=11099953. Google Patents. “7,378,111” Accessed March, 2017. https://patents.google. com/patent/US7378111B2/en. CafeSci2. “Christopher J. Phiel” Accessed March, 2017. http://cafescicolorado. org/CafeSci2%20Phiel2.htm. University of Colorado. “The Phiel Lab” Accessed March, 2017. http://claslabs. ucdenver.edu/chris-phiel-lab/. Google Patents. “7,361,688” Accessed March, 2017. https://patents.google.com/ patent/US7361688B2/en. Bloomberg. “Michel Maillard” Accessed March, 2017. http://www.bloomberg. com/research/stocks/private/person.asp?personId=39514087&privcapId=26579679&previousCapId=20458348&previousTitle=MCH%20Beaulieu%20Lausanne%20SA. Bloomberg. “Elan Pharmaceuticals, Inc.” Accessed March, 2017. http://www. Google Patents. “7,358,264” Accessed March, 2017. https://patents.google.com/ patent/US7358264B2/en. LinkedIn. “Robert (Al) Chrusciel” Accessed March, 2017. https://www.linkedin. com/in/robert-al-chrusciel-30a02b20. Google Patents. “7,354,942” Accessed March, 2017. https://patents.google.com/ patent/US7354942B2/en. Philippe G. Nantermet. 2016. “Reaction: The Art of Synthetic Chemistry” Chem, 1 (3); p335–336. Accessed March, 2017. DOI: http://dx.doi.org/10.1016/ j.chempr.2016.08.014. Merck & Co. Inc. “About” Accessed March, 2017. http://www.merck.com/ about/featured-stories/alzheimers.html. Google Patents. “7,351,253” Accessed March, 2017. https://patents.google.com/ patent/US7351253B2/en. Mohamed A. Attawia. “Board of Directors” irusa, Accessed March, 2017. http://irusa.org/board-of-directors/. Bloomberg. “Codman & Shurtleff, Inc.” Accessed March, 2017. http://www.bloom berg.com/research/stocks/private/snapshot.asp?privcapId=7621224. Google Patents. “7,342,022” Accessed March, 2017. https://patents.google.com/ patent/US7342022B2/en. María Llorens-Martín, et al. 2014 “GSK-3β, a pivotal kinase in Alzheimer disease” Frontiers in Molecular Neuroscience, Accessed March, 2017. https://doi.org/ 10.3389/fnmol.2014.00046. Google Patents. “7,329,746” Accessed March, 2017. https://patents.google. com/patent/US7329746B2/en. Shawn J. Stachel. “LinkedIn Profile” Accessed March, 2017. https://www.linkedin. com/in/shawn-stachel-a489884. Google Patents. “7,640,062” Accessed March, 2017. https://patents.google.com/ patent/US7640062B2/en. Profile. “Alon Shalev” Bloomberg Accessed March, 2017. http://www.bloomberg. com/research/stocks/private/person.asp?personId=116842578&privcapId=114935315. Brainsgate. “Company Website” Accessed March, 2017. http://www.brainsgate. com/eng/index.php. David Yarnitsky, et al. 2004. “Increased BBB permeability by parasympathetic sphenopalatine ganglion stimulation in dogs” Brain Research, Accessed March, 2017. file:///C:/Users/Mel/Downloads/Increased%20BBB%20permeability%20by %20parasympathetic%20sphenopalatine%20ganglion%20stimulation%20in%20dogs.pdf. Google Patents. “7,638,629” Accessed March, 2017. https://patents.google.com/ patent/US7638629B2/en. Profile. “Joanne C. Hannam” LinkedIn Accessed March, 2017. https://www. linkedin.com/in/joanne-hannam-46ab371. Bloomberg. “Merck Sharp & Dohme” Accessed March, 2017. http://www. bloomberg.com/research/stocks/private/snapshot.asp?privcapId=5504179. Google Patents. “7,632,816” Accessed March, 2017. https://patents.google.com/ patent/US7632816B2/en. Profile. “Thomas Wisniewski” NYU, Accessed March, 2017. http://nyulangone. org/doctors/1033103759/thomas-m-wisniewski. Google Patents. “7,629,354” Accessed March, 2017. https://patents.google. com/patent/US7629354B2/en. Profile. “Panagiotis Gerolymatos” Bloomberg Accessed March, 2017. http://www. bloomberg.com/research/stocks/private/person.asp?personId=34928546&privcapId=22830494. Profile. “Rudolph Tanzi” Prana Biotechnology Ltd. “Accessed March, 2017. http://pranabio.com/research-and-development/#.WJjWj1UrLIU. Google Patents. “7,625,711” Accessed March, 2017. https://patents.google.com/ patent/US7625711B2/en. Google Patents. “7,625,554” Accessed March, 2017. https://patents.google.com/ patent/US7625554B2/en. Profile. “Staley A. Brod” Prime Accessed March, 2017. https://primeinc.org/ faculty/biography/821/Staley_A_Brod,_MD. Google Patents. “7,611,910” Accessed March, 2017. https://patents.google. com/patent/US7611910B2/en. Profile. “Brian J. Balin” Philadelphia College Accessed March, 2017. http://www.pcom.edu/academics/faculty/brianba.html. Ananthaswamy, Anil and Alice Klein. 2016. “Vaccines might be able to stop Alzheimer’s plaques from forming” New Scientist May 31. Accessed March, 2017. https://www.newscientist.com/article/2090925-vaccines-might-be-able-to-stop-alzheimers-plaques-from-forming/. Google Patents. “7,608,586” Accessed March, 2017. https://patents.google.com/ patent/US7608586B2/en. Profile. “Berislav V. Zlokovic” USC Accessed March, 2017. http://keck.usc.edu/ faculty/berislav-v-zlokovic/. Google Patents. “7,608,412” Accessed March, 2017. https://patents.google.com/ patent/US7608412B2/en. Profile. “Marie W. Wooten” Auburn University Accessed March, 2017. http://blog.al.com/live/2010/11/update_auburn_marie_wooten.html. Sara Pauff. 2010 “Auburn University dean Marie Wooten killed in early morning traffic accident” Ledger-Enquirer Accessed March, 2017. http://www.ledger-enquirer.com/news/local/article29149282.html. Google Patents. “7,605,179” Accessed March, 2017. https://patents.google.com/ patent/US7605179B2/en. Profile. “Claude M. Wischik” Accessed March, 2017. http://pure.abdn.ac.uk:8080/ portal/en/persons/claude-michel-wischik(8a376caa-2bdf-4382-b76d-f704233d4587).html. Bloomberg. “Wisa Laboratories” Accessed March, 2017. http://www.bloomberg. com/research/stocks/private/snapshot.asp?privcapId=106970481. Presse N., et al. 2008. “Low vitamin K intakes in community-dwelling elders at an early stage of Alzheimer's disease” Journal of American Diet Association 108(12):2095-9. doi: 10.1016/j.jada.2008.09.013. https://www.ncbi.nlm.nih.gov/ pubmed/19027415. Google Patents. “7,601,528” Accessed March, 2017. https://patents.google.com/ patent/US7601528B1/en. Profile “D. Bryan Prince” LinkedIn Accessed March, 2017. https://www.linkedin. com/in/d-bryan-prince-95577416. Google Patents. “7,598,049” Accessed March, 2017. https://patents.google.com/ patent/US7598049B2/en. Profile. “Anton Wyss-Coray” Cure Alzheimer’s Accessed March, 2017. http://curealz.org/people/tony-wyss-coray. Sandip Ray, et al. 2007. “Classification and prediction of clinical Alzheimer's diagnosis based on plasma signaling proteins” Nature Medicine 13;1359 – 1362, doi:10.1038/nm1653. http://www.nature.com/nm/journal/v13/n11/abs/nm1653. html. Google Patents. “7,595,167” Accessed March, 2017. https://patents.google.com/ patent/US7595167B2/en. Profile. “Tapan K. Khan” Accessed March, 2017. http://sites.hsc.wvu.edu/brni-dev/experts/tapan-kumar-khan-phd/. Google Patents. “7,589,219” Accessed March, 2017. https://patents.google.com/ patent/US7589219B2/en. Profile. “Vincenza Andrisano” Accessed March, 2017. https://translate.google. com/translate?hl=en&sl=it&u=https://www.unibo.it/sitoweb/vincenza.andrisano/en&prev=search. Google Patents. “7,589,105” Accessed March, 2017. https://patents.google.com/ patent/US7589105B2/en. Bloomberg. “BTG International Inc.” Accessed March, 2017. http://www. bloomberg.com/research/stocks/private/snapshot.asp?privcapid=8594715. Google Patents. “7,566,730” Accessed March, 2017. https://patents.google. com/patent/US7566730B2/en. LinkedIn. “Elan Pharmaceuticals, Inc.” Accessed March, 2017. https://www. linkedin.com/company/elan-pharmaceuticals. Google Patents. “7,553,831” Accessed March, 2017. https://patents.google. com/patent/US7553831B2/en. Google Patents. “7,550,481” Accessed March, 2017. https://patents.google. com/patent/US7550481B2/en. Profile. “James C. Barrow” Hopkins Medical Accessed March, 2017. http://www. Google Patents. “7,544,771” Accessed March, 2017. https://patents.google. com/patent/US7544771B2/en. Profile. “Paul Averback” Bloomberg Accessed March, 2017. http://www. bloomberg.com/research/stocks/people/person.asp?personId=389649&privcapId=389645. Nymox Corporation. Accessed March, 2017. http://www.nymox.com/newsletter. action?actionFlag=init. Google Patents. “7,514,583” Accessed March, 2017. https://patents.google. com/patent/US7514583B2/en. Memorial. “David L. Coffen” Legacy Accessed March, 2017. http://www.legacy. com/obituaries/bostonglobe/obituary.aspx?page=lifestoryπd=684289. Google Patents. “7,510,871” Accessed March, 2017. https://patents.google. com/patent/US7510871B2/en. Profile. “Andy McShea” Accessed March, 2017. https://www.linkedin. com/in/andymcshea. Tachibana, Chris. 2010. “Dr. Chocolate” The Scientist, Accessed March, 2017. http://www.the-scientist.com/?articles.view/articleNo/29053/title/Dr--Chocolate/. Google Patents. “7,479,579” Accessed March, 2017. https://patents.google. com/patent/US7479579B2/en. Profile. “Frank M. LaFerla” Accessed March, 2017. https://www.bio.uci. edu/faculty/dean/. Megan Nicolai. 2016. “UCI doctor discusses challenges in Alzheimer's research” The Orange County Register, January 28. Accessed March, 2017. http://www.ocregister.com/articles/alzheimer-701827-uci-laferla.html. Alzheimer’s Association. “10 Early Signs and Symptoms of Alzheimer's” Accessed March, 2017. http://www.alz.org/alzheimers_disease_10_signs_ of_alzheimers.asp?type=carecenter_footer. Google Patents. “7,858,803” Accessed March, 2017. https://patents.google.com/ patent/US7858803B2/en. Google Patents. “7,854,920” Accessed March, 2017. https://patents.google.com/ patent/US7854920B2/en. The Huffington Post. “William E. Klunk” Accessed March, 2017. http://www. huffingtonpost.com/author/william-e-klunk-md-phd. Google Patents. “7,851,446” Accessed March, 2017. https://patents.google. com/patent/US7851446B2/en. Profile. “Victor G. Roura” Bloomberg Accessed March, 2017. http://www. Wikipedia. “Grifols” Accessed March, 2017. https://en.wikipedia.org/wiki/Grifols. Alzforum. 2016. “Plasma Proteomics Study Hints at New Player in Alzheimer’s” Accessed March, 2017. http://www.alzforum.org/news/research-news/plasma-proteomics-study-hints-new-player-alzheimers. Google Patents. “7,851,172” Accessed March, 2017. https://patents.google.com/ patent/US7851172B2/en. Profile. “Bert C. Lynn” University of Kentucky Accessed March, 2017. http://www.research.uky.edu/core/massspec/staff.html. Patricia Silva. 2015. “Potential Biomarkers for Alzheimer’s Disease Early Diagnosis” Alzheimer’s News Today Accessed March, 2017. https://alzheimers newstoday.com/2015/08/04/potential-biomarkers-alzheimers-disease-early-diagnosis/. Google Patents. “7,850,973” Accessed March, 2017. https://patents.google. com/patent/US7850973B2/en. Profile. “Victor M. Garsky” LinkedIn Accessed March, 2017. https://www. linkedin.com/in/victor-garsky-4408971a. Google Patents. “7,847,100” Accessed March, 2017. https://patents.google.com/ patent/US7847100B2/en. Profile. “Georgia B. McGaughey” LinkedIn Accessed March, 2017. https://www. Google Patents. “7,846,892” Accessed March, 2017. https://patents.google.com/ patent/US7846892B2/en. Company Profile. “Primex Clinical Laboratories” Bloomberg Accessed March, 2017. http://www.bloomberg.com/research/stocks/private/snapshot.asp?privcap Id=49790323. Google Patents. “7,842,455” Accessed March, 2017. https://patents.google. com/patent/US7842455B2/en. Profile. “Zsuzsanna Nagy” University of Kentucky Accessed March, 2017. http://www.birmingham.ac.uk/staff/profiles/inflammation-ageing/Nagy-Zsuzsanna.aspx. Company Profile. “ISIS Innovations” Wikipedia Accessed March, 2017. https://en.wikipedia.org/wiki/Isis_Innovation. Google Patents. “7,833,513” Accessed March, 2017. https://patents.google.com/ patent/US7833513B2/en. Profile. “Jack R. Wands” Bloomberg Accessed March, 2017. http://www. bloomberg.com/research/stocks/private/person.asp?personId=32834179&privcapId=962022. Melissa Pandika. “Is Alzheimer’s Disease Brain Diabetes?” The Daily Dose Accessed March, 2017. http://www.ozy.com/fast-forward/is-alzheimers-disease-brain-diabetes/34110. Google Patents. “7,829,597” Accessed March, 2017. https://patents.google.com/ patent/US7829597B2/en. Profile. “Philippe G. Nantermet” LinkedIn Accessed March, 2017. https://www. Google Patents. “7,828,438” Accessed March, 2017. https://patents.google.com/ patent/US7828438B1/en. Profile. “Manouchehr Motamedi” Accessed March, 2017. http://www.revoltech. com/. Google Patents. “7,825,794” Accessed March, 2017. https://patents.google.com/ patent/US7825794B2/en. Profile. “Elias M. Janetis” Bloomberg Accessed March, 2017. http://www. bloomberg.com/research/stocks/private/person.asp?personId=107135460&privcapId=331758157. Company Profile “Integrity Tracking” Bloomberg Accessed March, 2017. http://www.bloomberg.com/research/stocks/private/snapshot.asp?privcapId=106993467. Google Patents. “7,820,674” Accessed March, 2017. https://patents.google.com/ patent/US7820674B2/en. Profile. “Hemaka A. Rajapakse” LinkedIn Accessed March, 2017. https://www. Google Patents. “7,816,378” Accessed March, 2017. https://patents.google.com/ patent/US7816378B2/en. Profile. “Joseph P. Vacca” Bloomberg Accessed March, 2017. http://www. bloomberg.com/research/stocks/private/person.asp?personId=215090618&privcapId=319031486. Google Patents. “7,812,123” Accessed March, 2017. https://patents.google.com/ patent/US7812123B2/en. Profile. “Robert L. Heinrikson” Accessed March, 2017. http://www.proteos.com/ about-us/leadership. Profile. “Dale B. Schenk” Bloomberg Accessed January 30, 2017. https://www. Google Patents. “7,807,777” Accessed March, 2017. https://patents.google.com/ patent/US7807777B2/en. Profile. “Toshiharu Suzuki” Accessed March, 2017. http://www.lfsci.hokudai. ac.jp/graduate-school/biomedical/professor_lab/personal/suzuki.html. Company Profile. “Immuno-Biological Laboratories” Bloomberg Accessed March, 2017. http://www.bloomberg.com/research/stocks/private/snapshot.asp?privcap Id=30999692. Google Patents. “7,807,396” Accessed March, 2017. https://patents. google.com/patent/US7807396B2/en. Profile. “Louis B. Hersh” University of Kentucky Accessed March, 2017. https://biochemistry.med.uky.edu/users/lhersh. Google Patents. “7,803,538” Accessed March, 2017. https://patents.google. com/patent/US7803538B2/en. Profile. “Sandrine Mace” LinkedIn Accessed March, 2017. https://www.linkedin. com/in/sandrine-mac%C3%A9-a002691?authType=NAME_SEARCH&auth Token=9FDf&locale=en_US&srchid=127117861486653244392&srchindex=5&srchtotal=15&trk=vsrp_people_res_name&trkInfo=VSRPsearchId%3A127117861486653244392%2CVSRPtargetId%3A3625056%2CVSRPcmpt%3Aprimary%2CVSRPnm%3Atrue%2CauthType%3ANAME_SEARCH. Company Profile. “Aventis Pharma S.A.” Bloomberg Accessed March, 2017. http://www.bloomberg.com/research/stocks/private/snapshot.asp?privcapId=2919367. Google Patents. “7,794,948” Accessed March, 2017. https://patents.google.com/ patent/US7794948B2/en. Simonsen” LinkedIn Accessed March, 2017. https://www. Google Patents. “7,776,312” Accessed March, 2017. https://patents.google.com/ patent/US7776312B2/en. Profile. “William H. Frey II” University of Minnesota http://www.neuroscience. umn.edu/people/william-h-frey-ii-phd. Sharyn Jackson. 2016. “Minnesota researcher brainstorms a new approach to treating Alzheimer's” Star Tribune Accessed March, 2017. http://www. IOS Press. 2008. “Milan Fiala, M.D., receives 2008 Alzheimer Award” Eureka Alert Accessed March, 2017. https://www.eurekalert.org/pub_releases/2008-04/ip-mfm042608.php. Google Patents. “7,771,937” Accessed March, 2017. https://patents.google. com/patent/US7771937B2/en. Profile. “Randall T. Moon” University of Washington Accessed March, 2017. http://depts.washington.edu/phcol/faculty/moon.php. Profile. “David M. Holtzman” Bloomberg Accessed March, 2017. http://www. Alzforum. 2016. “Flashy Treatment Synchronizes Neurons, Lowers Aβ in Mice” Accessed March, 2017. http://www.alzforum.org/news/research-news/flashy-treatment-synchronizes-neurons-lowers-av-mice. Google Patents. “7,763,747” Accessed March, 2017. https://patents.google.com/ patent/US7763747B2/en. Memorial. “David L. Coffen” Legacy Accessed March, 2017. http://www.legacy.com/ obituaries/bostonglobe/obituary.aspx?page=lifestoryπd=684289. Company Profile. “ProteoTech” Accessed March, 2017. http://www.bloomberg. com/research/stocks/private/snapshot.asp?privcapId=11099953. Google Patents. “7,763,646” Accessed March, 2017. https://patents.google.com/ patent/US7763646B2/en. Profile. “Roy K. Hom” LinkedIn Accessed March, 2017. https://www.linkedin. com/in/rohom. Google Patents. “7,763,435” Accessed March, 2017. https://patents.google.com/ patent/US7763435B2/en. Profile. “Joachim Struck” Bloomberg Accessed March, 2017. http://www. bloomberg.com/research/stocks/people/person.asp?personId=143715015∩Id=117014910&previousCapId=117014910&previousTitle=Adrenomed%20AG. Company Profile. “Brahms, AG” Wikipedia Accessed March, 2017. https://de.wikipedia.org/wiki/Brahms_AG. Google Patents. “7,759,311” Accessed March, 2017. https://patents.google. com/patent/US7759311B2/en. Profile. “Gerry Castillo” Pharmain Accessed March, 2017. http://pharmain.com/ management/. Company Profile. “ProteoTech” Bloomberg Accessed March, 2017. http://www.bloomberg.com/research/stocks/private/snapshot.asp?privcapId=11099953. Google Patents. “7,754,250” Accessed March, 2017. https://patents.google. com/patent/US7754250B2/en. Profile. “Alan D. Snow” Michael J. Fox Foundation Accessed March, 2017. https://www.michaeljfox.org/foundation/researchers.php?id=627. Google Patents. “7,745,688” Accessed March, 2017. https://patents.google. com/patent/US7745688B2/en. Profile. “Takaomi Saido” Bloomberg Accessed March, 2017. http://www. bloomberg.com/research/stocks/private/person.asp?personId=24427746&privcapId=137369&previousCapId=137369&previousTitle=Probiodrug%2520AG. Profile. “Takaomi Saido” Alzforum Accessed March, 2017. http://www.alzforum. org/research-models/app-nl-f.
	Company Profile. “Riken” Wikipedia Accessed March, 2017. https://en.wikipedia. org/wiki/Riken. Google Patents. “7,732,568” Accessed March, 2017. https://patents.google. com/patent/US7732568B2/en. Profile. “Frank Mattner” Bloomberg Accessed March, 2017. http://www.bloomberg.com/research/stocks/private/person.asp?personId=29479137&privcapId=26632094. Company Profile. “Affiris, AG” Accessed March, 2017. http://www.bloomberg. com/research/stocks/private/snapshot.asp?privcapId=26632094. Google Patents. “7,728,022” Accessed March, 2017. https://patents.google. com/patent/US7728022B2/en. Profile. “Ian Churcher” LinkedIn Accessed March, 2017. https://www.linkedin. com/in/ian-churcher-5467951. Curcumin. Mary S. Easton UCLA Alzheimer Translation Center, Accessed March, 2017. http://alzheimer.neurology.ucla.edu/Curcumin.html. Google Patents. “7,723,515” Accessed March, 2017. https://patents.google. com/patent/US7723515B1/en. Patricia Jumbo-Lucioni. 2015. “Curcumin’s ability to fight Alzheimer’s studied” Vanderbilt News Accessed March, 2017. https://news.vanderbilt. edu/2015/01/08/ curcumin%E2%80%99s-ability-to-fight-alzheimer-studied/. Company Profile. “Codman & Shurtleff” Bloomberg Accessed March, 2017. http://www.bloomberg.com/research/stocks/private/snapshot.asp?privcapId=7621224. Google Patents. “7,714,021” Accessed March, 2017. https://patents.google.com/ patent/US7714021B2/en. Profile. “Craig A. Coburn” LinkedIn Accessed March, 2017. https://www.linkedin. com/in/craig-coburn-61237b13. Google Patents. “7,700,823” Accessed March, 2017. https://patents.google.com/ patent/US7700823B2/en. Profile. “Caty C. Louzao” LinkedIn Accessed March, 2017. https://translate. google.com/translate?hl=en&sl=es&u=https://es.linkedin.com/in/caty-casas-louzao-2865832a&prev=search. Google Patents. “7,695,911” Accessed March, 2017. https://patents.google.com/ patent/US7695911B2/en. Profile. “Andrew Grupe” LinkedIn Accessed March, 2017. https://www.linkedin. com/in/andrew-grupe-16a908a. Company Profile. “Celera Corporation” Bloomberg Accessed March, 2017. http://www.bloomberg.com/research/stocks/private/snapshot.asp?privcapId=401184. Google Patents. “7,695,903” Accessed March, 2017. https://patents.google. com/patent/US7695903B2/en. Profile. “Berislav V. Zlokovic” Accessed March, 2017. http://profiles.sc-ctsi.org/berislav.zlokovic. Zen Vuong. 2016. “Zlokovic receives nearly $25 million to study Alzheimer’s disease” HSC News Accessed March, 2017. http://hscnews.usc.edu/zlokovic-receives-nearly-25-million-to-study-alzheimers-disease/. Google Patents. “7,682,807” Accessed March, 2017. https://patents.google. com/patent/US7682807B2/en. Profile. “Wei-Qin Zhao” LinkedIn Accessed March, 2017. https://www.linkedin. com/in/wei-qin-zhao-0316b412. Company Profile. “Blanchette Rockefeller Neurosciences Institute” Bloomberg Accessed March, 2017. http://www.bloomberg.com/research/stocks/private/ snapshot.asp?privcapId=26653573. Khan, TK. Et al. 2015. “PKCε deficits in Alzheimer's disease brains and skin fibroblasts” Journal of Alzheimer’s Disease 43(2):491-509. doi: 10.3233/JAD-141221. https://www.ncbi.nlm.nih.gov/pubmed/25125477. Google Patents. “7,682,795” Accessed March, 2017. https://patents.google. com/patent/US7682795B2/en. Profile. “Yadong Huang” Accessed March, 2017. https://gladstone.org/our-science/people/yadong-huang. Jessica Shugart. 2017. “ApoE Risk Explained? Isoform-Dependent Boost in APP Expression Uncovered” Alzforum Accessed March, 2017. http://www.alzforum. org/news/research-news/apoe-risk-explained-isoform-dependent-boost-app-expression-uncovered. Google Patents. “7,678,823” Accessed March, 2017. https://patents.google.com/ patent/US7678823B2/en. Profile. “Rachel Slade” LinkedIn, Accessed March, 2017. https://www.linkedin. com/in/rachel-slade-70a72399. Patrick M. Burke. 2010. “Myriad Pharmaceuticals Formally Adopts Its Name Change to Myrexis, Inc. Effective July 1, 2010” Accessed March, 2017. https://globenewswire.com/news-release/2010/06/30/424224/195490/en/Myriad-Pharmaceuticals-Formally-Adopts-Its-Name-Change-to-Myrexis-Inc-Effective-July-1-2010.html. Google Patents. “7,678,783” Accessed March, 2017. https://patents.google. com/patent/US7678783B2/en. Profile. “Keith P. Moore” LinkedIn Accessed March, 2017. https://www.linkedin. com/in/keith-p-moore-39301784. Google Patents. “7,674,597” Accessed March, 2017. https://patents.google.com/ patent/US7674597B2/en. Profile. “Nikolay Malinin “LinkedIn Accessed March, 2017. https://www.linkedin. com/in/nikolay-malinin-6483515. Google Patents. “7,662,951” Accessed March, 2017. https://patents.google. com/patent/US7662951B2/en. Profile. “James McSwiggen” LinkedIn Accessed March, 2017. https://www. Company Profile. “Sirna Therapeutics” Wikipedia Accessed March, 2017. https://en.wikipedia.org/wiki/Sirna_Therapeutics. Google Patents. “8,084,495” Accessed March, 2017. https://patents.google.com/ patent/US8084495B2/en. Labdane. Wikipedia Accessed March, 2017. https://en.wikipedia.org/ wiki/Labdane. Profile. “Juan Luis Hancke Orozco” Accessed March, 2017. https://translate. google.com/translate?hl=en&sl=es&u=http://www.veterinaria.uach.cl/dr-juan-hancke-orozco/&prev=search. Company Profile. “Herbal Powers Corporation” Accessed March, 2017. http://www.buzzfile.com/business/HP-Ingredients-941-749-7066. Rachel Adams. 2016. “New Probiotic Research, NeuroActin Awarded Patent, Mironova Launches Heart Health Supplement” Accessed March, 2017. https://www.naturalproductsinsider.com/blogs/supplement-perspectives/2016/02/ supplements-new-product-launch-probiotic-research.aspx. Google Patents. “8,066,993” Accessed March, 2017. https://patents.google.com/ patent/US8066993B2/en. Profile. “Norman Relkin” Bloomberg, Accessed March, 2017. http://www. Company Profile. “Baxter International” Wikipedia Accessed March, 2017. https://en.wikipedia.org/wiki/Baxter_International. Susan Jeffrey. 2013. “GAP: IVIG Negative in Alzheimer's, But Some Hints of Benefit” Medscape Accessed March, 2017. http://www.medscape.com/viewarticle/ 807970. Google Patents. “8,060,179” Accessed March, 2017. https://patents.google.com/ patent/US8060179B1/en. Profile. “Edward R. Flynn” LinkedIn Accessed March, 2017. https://www. Company Profile. “Scientific Nanomedicine” Bloomberg Accessed March, 2017. http://www.bloomberg.com/research/stocks/private/snapshot.asp?privcapid=133907765. Google Patents. “8,026,073” Accessed March, 2017. https://patents.google.com/ patent/US8026073B2/en. Profile. “Gang Pei” Accessed March, 2017. http://www.tongji.edu.cn/english/ themes/10/template/mazaitian.shtml. Institution Profile. “Shanghai Institutes for Biological Sciences, Chinese Academy of Sciences” Accessed March, 2017. http://english.sibs.cas.cn/. Google Patents. “8,022,268” Accessed March, 2017. https://patents.google.com/ patent/US8022268B2/en. Profile. “Jan Grimm” Accessed March, 2017. http://www.neurimmune.com/ company/management.html. Google Patents. “8,022,180” Accessed March, 2017. https://patents.google.com/ patent/US8022180B2/en. Profile. “Frank Mattner” Bloomberg Accessed March, 2017. http://www. Company Profile. “Affiris” Bloomberg Accessed March, 2017. http://www.bloomberg.com/research/stocks/private/snapshot.asp?privcapId=26632094. Walter Schmidt. 2007. “Affiris GmbH Begins Clinical Testing of Alzheimer's Vaccine” BioSpace Accessed March, 2017. http://www.biospace.com/News/ affiris-gmbh-begins-clinical-testing-of-alzheimers/63498. Gwyneth Dickey Zakaib. 2014. “In Surprise, Placebo, not Aβ Vaccine, said to Slow Alzheimer’s” Alzforum Accessed March, 2017. http://www.alzforum.org/ news/research-news/surprise-placebo-not-av-vaccine-said-slow-alzheimers. Google Patents. “8,021,701” Accessed March, 2017. https://patents.google.com/ patent/US8021701B1/en. Profile. “Stephen C. Perry” Accessed March, 2017. http://www.buzzfile.com/ business/Conseal-International-Incorporated-781-278-0010. Google Patents. “8,017,765” Accessed March, 2017. https://patents.google. com/patent/US8017765B2/en. Profile. “Leonid Beigelman” Bloomberg Accessed March, 2017. http://www. Google Patents. “8,017,147” Accessed March, 2017. https://patents.google.com/ patent/US8017147B2/en. Profile. “Mohammad A. Mazer” Bizapedia Accessed March, 2017. https://www.bizapedia.com/people/california/mohammad-mazed.html. Google Patents. “8,008,315” Accessed March, 2017. https://patents.google.com/ patent/US8008315B2/en. Google Patents. “8,003,653” Accessed March, 2017. https://patents.google.com/ patent/US8003653B2/en. Profile. “James C. Barrow” Hopkins Medicine Accessed March, 2017. http://www.hopkinsmedicine.org/profiles/results/directory/profile/0427997/james-barrow. Company Profile. “Merck Sharp & Dohme” Bloomberg Accessed March, 2017. http://www.bloomberg.com/research/stocks/private/snapshot.asp?privcapId=97963298. Google Patents. “8,003,645” Accessed March, 2017. https://patents.google. com/patent/US8003645B2/en. Company Profile. “BTG International” Bloomberg Accessed March, 2017. http://www.bloomberg.com/research/stocks/private/snapshot.asp?privcapid=8594715. Google Patents. “8,003,612” Accessed March, 2017. https://patents.google.com/ patent/US8003612B2/en. ProteoTech Inc. 2010. “ProteoTech and Tasly Pharmaceuticals Announce Alzheimer's Disease Drug Development Agreement for Exebryl-1(R)” PRNewswire Accessed March, 2017. http://www.prnewswire.com/news-releases/proteotech-and-tasly-pharmaceuticals-announce-alzheimers-disease-drug-development-agreement-for-exebryl-1r-104266628.html. Google Patents. “7,993,868” Accessed March, 2017. https://patents.google. com/patent/US7993868B2/en. Company Profile. “Vermillion” Bloomberg Accessed March, 2017. http://www. bloomberg.com/research/stocks/private/snapshot.asp?privcapId=26503. Vermillion, Inc. 2011. “Vermillion Announces Notice of Allowance for Alzheimer Patent” PRNewswire Accessed March, 2017. http://www.prnewswire.com/news-releases/vermillion-announces-notice-of-allowance-for-alzheimer-patent-122579498.html. Curcumin. Mary S. Easton UCLA Alzheimer Translation Center Accessed March, 2017, http://alzheimer.neurology.ucla.edu/Curcumin.html. Google Patents. “7,985,776” Accessed March, 2017. https://patents.google.com/ patent/US7985776B2/en. Profile. “Sean Lilienfeld” LinkedIn Accessed March, 2017. https://www.linkedin. com/in/sean-lilienfeld-5244078. Patricia Jumbo-Lucioni. 2015. “Curcumin’s ability to fight Alzheimer’s studied” Vanderbilt News Accessed March, 2017. https://news.vanderbilt.edu/ 2015/01/08/curcumin%E2%80%99s-ability-to-fight-alzheimer-studied/. Google Patents. “7,985,758” Accessed March, 2017. https://patents.google.com/ patent/US7985758B2/en. Profile. “Andrew Madin” LinkedIn Accessed March, 2017. https://www.linkedin. com/in/andrew-madin-2777931. Google Patents. “7,977,354” Accessed March, 2017. https://patents.google.com/ patent/US7977354B2/en. Profile. “Francis Marsais” Accessed March, 2017. https://translate.google.com/ translate?hl=en&sl=fr&u=https://fr.linkedin.com/in/francis-marsais-40a24846&prev=search. Company Profile. “Insa Rouen” Wikipedia https://en.wikipedia.org/wiki/Institut_ national_des_sciences_appliqu%C3%A9es_de_Rouen. Google Patents. “7,968,571” Accessed March, 2017. https://patents.google.com/ patent/US7968571B2/en. Profile. “Matthew G. Stanton” LinkedIn Accessed March, 2017. https://www. linkedin.com/in/matthew-stanton-a2a1a28. Google Patents. “7,968,293” Accessed March, 2017. https://patents.google.com/ patent/US7968293B2/en. Profile. “Birgit Reipert” Accessed March, 2017. http://www.eucraf.eu/reipert. Company Profile. “Baxter International” Accessed March, 2017. Wikipedia https://en.wikipedia.org/wiki/Baxter_International. Susan Jeffrey. 2013. “GAP: IVIG Negative in Alzheimer's, But Some Hints of Benefit” Medscape Accessed March, 2017. http://www.medscape.com/ viewarticle/807970. Google Patents. “7,955,812” Accessed March, 2017. https://patents.google.com/ patent/US7955812B2/en. Emily Underwood. 2016. “Alzheimer’s protein may help brain fight infection” Science Accessed March, 2017. http://www.sciencemag.org/news/2016/05/ alzheimer-s-protein-may-help-brain-fight-infection. Google Patents. “7,951,949” Accessed March, 2017. https://patents.google.com/ patent/US7951949B2/en. Profile. “Keith P. Moore” Accessed March, 2017. LinkedIn https://www. Google Patents. “7,932,275” Accessed March, 2017. https://patents.google.com/ patent/US7932275B2/en. Profile. “Katharine M. Holloway” Accessed March, 2017. http://commons.saint marys.edu/chemphys/stementoring/sample-page-2/. Google Patents. “7,932,048” Accessed March, 2017. https://patents.google.com/ patent/US7932048B2/en. Company Profile. “Spanish National Research Council” Wikipedia Accessed March, 2017. https://en.wikipedia.org/wiki/Spanish_National_Research_Council. Curcumin. Mary S. Easton UCLA Alzheimer Translation Center Accessed March, 2017. http://alzheimer.neurology.ucla.edu/Curcumin.html. Google Patents. “7,906,643” Accessed March, 2017. https://patents.google.com/ patent/US7906643B2/en. Profile. “Thomas DiMauro” LinkedIn Accessed March, 2017. https://www. Google Patents. “7,906,326” Accessed March, 2017. https://patents.google. com/patent/US7906326B2/en. Profile. “Itzhak Bentwich” Bloomberg Accessed March, 2017. http://www. Company Profile. “Rosetta Genomics” Wikipedia Accessed March, 2017. https://en.wikipedia.org/wiki/Rosetta_Genomics. Bob Grant. 2007. “MicroRNAs abound” The Scientist Accessed March, 2017. http://www.the-scientist.com/?articles.view/articleNo/25262/title/MicroRNAs-abound/. Google Patents. “7,897,361” Accessed March, 2017. https://patents.google.com/ patent/US7897361B2/en. Profile “Simon Lovestone” LinkedIn Accessed March, 2017, https://www.linkedin. com/in/lovestone. Google Patents. “7,888,066” Accessed March, 2017. https://patents.google. com/patent/US7888066B2/en. Profile. “Stave D. Kohtz” Accessed March, 2017. https://www.cmich. edu/colleges/cmed/AboutUs/Faculty/FacultyProfiles/Pages/Stave_Kohtz.aspx. Company Profile. “Mount Sinai School of Medicine” Wiki Accessed March, 2017. https://en.wikipedia.org/wiki/Icahn_School_of_Medicine_at_Mount_Sinai. Google Patents. “7,873,405” Accessed March, 2017. https://patents.google. com/patent/US7873405B2/en. Profile. “Ziad Burbar” LinkedIn Accessed March, 2017. https://www.linkedin. com/in/ziad-burbar-22252a4. Company Profile. “Siemens Medical Solutions USA” Bloomberg Accessed March, 2017. http://www.bloomberg.com/research/stocks/private/snapshot.asp?privcapId =4196890. Stephen Feller. 2016. “Early diagnosis, staging of Alzheimer's disease seen in PET scans” Health News Accessed March, 2017. http://www.upi.com/Health_ News/2016/03/03/Early-diagnosis-staging-of-Alzheimers-disease-seen-in-PET-scans/1701457010215/. Google Patents. “8,338,614” Accessed March, 2017. https://patents.google. com/patent/US8338614B2/en. Google Patents. “8,324,276” Accessed March, 2017. https://patents.google.com/ patent/US8324276B2/en. Profile. “Morten Bryhn” Accessed March, 2017. http://www.samedanltd. com/magazine/12/issue/40/article/1068. Company Profile. “Pronova Biopharma Norge” Accessed March, 2017. https://www.basf.com/no/en/company/about-us/BASF-in-Norway.html. Alzheimer’s Association. “Alternative Treatment” Accessed March, 2017. http://www.alz.org/professionals_and_researchers_alternative_treatments_.asp. Google Patents. “8,318,687” accessed March, 2017. https://patents.google. com/patent/US8318687B2/en. Elan Pharmaceuticals. 2005. “Alzheimer award to Hideo Hara, M.D and Takeshi Tabira, MD, PhD” Journal of Alzheimer’s Disease Accessed March, 2017. http://www.j-alz.com/content/2005-alzheimer-award-hideo-hara-md-and-takeshi-tabira-md-phd. Profile. “Elaine A. DeLack” Accessed March, 2017. http://meddevinc.com/home/ meddev-leadership/elaine-delack/. Company Profile. “MedDEV” Accessed March, 2017. http://meddevinc.com/ home/. Google Patents. “8,293,759” Accessed March, 2017. https://patents.google.com/ patent/US8293759B2/en. Profile. “Ashley Forster” LinkedIn Accessed March, 2017. https://www.linkedin. com/in/ashley-forster-3bb6aa44/. Profile. “Eva Kontsekova” Accessed March, 2017. https://translate.google. com/translate? hl=en&sl=sk&u=https://www.sav.sk/%3Flang%3Den%26doc%3 Duser-org-user%26user_no%3D3150&prev=search. Company Profile. “Axon Neuroscience” Bloomberg Accessed March, 2017. http://www.bloomberg.com/research/stocks/private/snapshot.asp?privcapid=250312232. Eva Kontsekova, et al. 2014. “First-in-man tau vaccine targeting structural determinants essential for pathological tau–tau interaction reduces tau oligomerisation and neurofibrillary degeneration in an Alzheimer’s disease model” Alzheimer’s Research and Therapy” Biomedcentral Accessed March, 2017. https://alzres.biomedcentral.com/articles/10.1186/alzrt278. Google Patents. “8,288,444” Accessed March, 2017. https://patents.google.com/ patent/US8288444B2/en. Patricia Jumbo-Lucioni. 2015. “Curcumin’s ability to fight Alzheimer’s studied” Vanderbilt News Accessed March, 2017. https://news.vanderbilt.edu/2015/01/08/ curcumin%E2%80%99s-ability-to-fight-alzheimer-studied/. Google Patents. “8,257,922” Accessed March, 2017. https://patents.google.com/ patent/US8257922B2/en. Profile. “Choong-Chin Liew” Accessed March, 2017. http://web.usm.my/ pipgc/prof_ccliew.html. Company Profile. “Gene News” Accessed March, 2017. http://www.genenews. com/about.html. Google Patents. “8,252,543” Accessed March, 2017. https://patents.google. com/patent/US8252543B2/en. Profile. “Tomohiro Chiba” ResearchGate Accessed March, 2017. https://www. Kevin R. Doty, et al. 2016. “Stat3 Signaling Referees Microglial Amyloid Clearance in Alzheimer’s Disease’ Journal of the Alzheimer’s Association 12(7); 1150, DOI: http://dx.doi.org/10.1016/j.jalz.2016.07.047, Accessed March, 2017. http://www.alzheimersanddementia.com/article/S1552-5260(16)32739-X/abstract. Google Patents. “8,252,321” Accessed March, 2017. https://patents.google.com/ patent/US8252321B2/en. Profile. “Guy Dipierro” Accessed March, 2017. https://www.crunchbase.com/ person/guy-dipierro#/entity. Company Profile. “Chrono Therapeutics” Bloomberg Accessed March, 2017. http://www.bloomberg.com/research/stocks/private/snapshot.asp?privcapId=11777906. Google Patents. “8,242,150” Accessed March, 2017. https://patents.google.com/ patent/US8242150B2/en. Profile. “Christian Fischer” LinkedIn Accessed March, 2017. https://www. Google Patents. “8,232,373” Accessed March, 2017. https://patents.google.com/ patent/US8232373B2/en. Profile. “Chang Yi Wang” Wikipedia Accessed March, 2017. https://en.wikipedia. org/wiki/Chang_Yi_Wang. Company Profile. “United Biomedical” Bloomberg Accessed March, 2017. http://www.bloomberg.com/research/stocks/private/snapshot.asp?privcapId=2113181. Leptin. Wikipedia Accessed March, 2017. https://en.wikipedia.org/wiki/Leptin. Google Patents. “8,227,408” Accessed March, 2017. https://patents.google. com/patent/US8227408B2/en. Profile. “Nikolaos Tezapsidis” Bloomberg Accessed March, 2017. http://www. Company Profile. “Neurotez” Bloomberg Accessed March, 2017. http://www. Silvia Maioli, et al. 2014. “Alterations in brain leptin signaling in spite of unchanged CSF leptin levels in Alzheimer's disease” Aging Cell Open Access, DOI: 10.1111/acel.12281, Accessed March, 2017. http://onlinelibrary.wiley. com/doi/10.1111/acel.12281/full. Google Patents. “8,210,682” Accessed March, 2017. https://patents.google. com/patent/US8210682B2/en. Google Patents. “8,206,986” Accessed March, 2017. https://patents.google. com/patent/US8206986B2/en. Profile. “Doris Damian” LinkedIn Accessed March, 2017. https://www.linkedin. com/company-beta/4237/. Company Profile. “BG Medicine” LinkedIn Accessed March, 2017. https://www. linkedin.com/company/bg-medicine. Google Patents. “8,203,004” Accessed March, 2017. https://patents.google.com/ patent/US8203004B2/en. Google Patents. “8,198,300” accessed March, 2017. https://patents.google.com/ patent/US8198300B2/en. Profile. “Ricardo B. Maccioni” Springer Accessed March, 2017, http://www. IOS Press. 2016. “Promising discovery for a non-invasive early detection of Alzheimer's disease” ScienceDaily Accessed March, 2017. https://www.science daily.com/releases/2016/12/161222134623.htm. Google Patents. “8,198,257” Accessed March, 2017. https://patents.google. com/patent/US8198257B2/en. Profile. “Patrick Aubourg” Accessed March, 2017. http://www.paris-neuroscience.fr/en/node/636. Djelti F., et al. 2015. “CYP46A1 inhibition, brain cholesterol accumulation and neurodegeneration pave the way for Alzheimer's disease” Brain 138(Pt 8):2383-98. doi: 10.1093/brain/awv166.Accessed March, 2017. https://www.ncbi.nlm. nih.gov/pubmed/26141492. Pinitol. Wikipedia Accessed March, 2017. https://en.wikipedia.org/wiki/Pinitol. Google Patents. “8,193,250” Accessed March, 2017. https://patents.google. com/patent/US8193250B2/en. Profile. “Giulio M. Pasinetti” Wikipedia Accessed March, 2017. https://en. wikipedia.org/wiki/Giulio_Maria_Pasinetti. Company Profile. “Icahn School of Medicine at Mount Sinai” Accessed March, 2017. https://en.wikipedia.org/wiki/Icahn_School_of_Medicine_at_Mount_Sinai. NIC5-15. “Therapeutics” Alzforum Accessed March, 2017. http://www.alzforum. org/therapeutics/nic5-15. Obituary. “David L. Coffen” Boston Globe Accessed March, 2017. http://www.legacy.com/obituaries/bostonglobe/obituary.aspx?page=lifestoryπd=684289. Google Patents. “8,137,916” Accessed March, 2017. https://patents.google. com/patent/US8137916B2/en. Profile. “Zsuzsanna Nagy” Accessed March, 2017. http://www.birmingham.ac.uk/ staff/profiles/inflammation-ageing/Nagy-Zsuzsanna.aspx. Google Patents. “8,137,666” Accessed March, 2017. https://patents.google.com/ patent/US8137666B2/en. Profile. “Rita Chen” Accessed March, 2016. http://www.ibc.sinica.edu.tw/ PI_DetailE.asp?Auto=35. Nattokinase. Wikipedia Accessed March, 2017. https://en.wikipedia.org/wiki/ Nattokinase. Google Patents. “8,129,334” Accessed March, 2017. https://patents.google.com/ patent/US8129334B2/en. Profile. “Nazneen Dewji” Accessed March, 2017. Giles Sheldrick. 2015. “Alzheimer's wonder drug can stop disease in its tracks, say scientists” Express Accessed March, 2017. https://www.omicsonline.org/speaker/ nazneen-dewji-university-of-californiausa/. Google Patents. “8,105,839” Accessed March, 2017. https://patents.google.com/ patent/US8105839B2/en. Profile. “Katsuya Urakami” ResearchGate Accessed March, 2017. https://www.researchgate.net/profile/Katsuya_Urakami. Miyako Taniguchi and Katsuya Urakami. 2012. “Altered glycosylation in serum proteins of Alzheimer's disease” Journal of the Alzheimer’s Association 8(4); 119 DOI: http://dx.doi.org/10.1016/j.jalz.2012.05.311, http://www.alzheimersand dementia.com/article/S1552-5260(12)00443-8/abstract. Google Patents. “8,097,726” Accessed March, 2017. https://patents. google.com/patent/US8097726B2/en. Company Profile. “Industrial Technology Research Institute” Wikipedia Accessed March, 2017. https://en.wikipedia.org/wiki/Industrial_Technology_Research_ Institute. Guoyan Yang, et al. 2013. “Huperzine A for Alzheimer’s Disease: A Systematic Review and Meta-Analysis of Randomized Clinical Trials” PLoS One 8(9): e74916, doi: 10.1371/journal.pone.0074916, https://www.ncbi.nlm.nih.gov/pmc/ articles/PMC3781107/. Monascus. Wikipedia Accessed March, 2017. https://en.wikipedia.org/ wiki/Monascus. Google Patents. “8,097,259” Accessed March, 2017. https://patents.google.com/ patent/US8097259B2/en. Profile. “Tzu-Ming Pan” Accessed March, 2017. http://www.ift.org/community/ fellows/2012-ift-fellows/tzuming-pan.aspx. Ankascin 568. Science direct Accessed March, 2017. http://www.sciencedirect. com/science/article/pii/S1756464615006210. Google Patents. “8,093,060” Accessed March, 2017. https://patents.google. com/patent/US8093060B2/en. Profile. “Itaru Hamachi” Accessed March, 2017. http://www.sbchem.kyoto-u.ac.jp/hamachi-lab/index.php?members%2Fhamachi. Company Profile. “Canon” Accessed March, 2017. https://en.wikipedia. org/wiki/Canon_Inc. Google Patents. “8,617,549” Accessed March, 2017. https://patents.google.com/ patent/US8617549B2/en. Profile. “Michael Sierks” Accessed March, 2017. http://azalz.org/staff/michael-sierks-ph-d/. Madolyn Bowman Rogers. 2016. “Exosomes and Antibodies Tie Plasma Aβ and Tau to Alzheimer’s” Alzforum Accessed March, 2017. http://www.alzforum.org/ news/research-news/exosomes-and-antibodies-tie-plasma-av-and-tau-alzheimers. Google Patents. “8,609,726” Accessed March, 2017. https://patents.google.com/ patent/US8609726B2/en. Profile. “Morten Bryhn” Accessed March, 2017. http://www.samedanltd.com/ magazine/12/issue/40/article/1068. Company Profile. “Pronova Biopharma Norge” BASF Accessed March, 2017. https://www.basf.com/no/en/company/about-us/BASF-in-Norway.html. Alzheimer’s Association. “Alternative Treatments” Accessed March, 2017. http://www.alz.org/professionals_and_researchers_alternative_treatments_.asp. Curcumin. “Mary S. Easton UCLA Alzheimer Translation Center” UCLA Accessed March, 2017. http://alzheimer.neurology.ucla.edu/Curcumin.html. Google Patents. “8,609,652” Accessed March, 2017. https://patents.google.com/ patent/US8609652B2/en. Profile. “Thomas DiMauro” LinkedIn Accessed March, 2017. https://www. linkedin.com/in/tom-dimauro-4461aa74. Patricia Jumbo-Lucioni. 2015. Vanderbilt News “Curcumin’s ability to fight Alzheimer’s studied” Vanderbilt News Accessed March, 2017. https://news. vanderbilt.edu/2015/01/08/curcumin%E2%80%99s-ability-to-fight-alzheimer-studied/. Company Profile. DePuy Synthes Products” Bloomberg Accessed March, 2017. http://www.bloomberg.com/research/stocks/private/snapshot.asp?privcapid=12761895. Google Patents. “8,609,346” Accessed March, 2017. https://patents.google. com/patent/US8609346B2/en. Profile. “Takaomi Saido” Accessed March, 2017. http://www.riken.jp/en/ research/labs/grc/riken_max_planck/sys_glycobiol/dis_glycomics/. Naoyuki Taniguchi. 2015. Riken “Alzheimer's plaques reduced by targeting sugar attachment to the BACE1 enzyme” Accessed March, 2017. http://www.riken.jp/ en/pr/press/2015/20150115_1/. Google Patents. “8,598,212” Accessed March, 2017. https://patents.google. com/patent/US8598212B2/en. Toray Industries. Wikipedia Accessed March, 2017. https://en.wikipedia. org/wiki/Toray_Industries. Google Patents. “8,597,640” Accessed March, 2017. https://patents.google. com/patent/US8597640B2/en. Profile. “Amy Y. Chan-Daniels” Accessed March, 2017. https://www.linkedin. com/in/amy-chan-daniels-5813245/. Dan O’Brien. 2012. “UMass Lowell's memory supplement sold over the counter” Lowellsun.com/Business, Accessed March, 2017. http://www.lowellsun.com/ business/ci_21556670/umass-lowells-memory-drug-sold-over-counter. Google Patents. “8,586,585” Accessed March, 2017. https://patents.google.com/ patent/US8586585B2/en. Memorial. “David L. Coffen” Legacy Accessed March, 2017. http://www. Company Profile. “ProteoTech” Bloomberg Accessed March, 2017. http://www. Google Patents. “8,577,470” Accessed March, 2017. https://patents.google. com/patent/US8577470B2/en. Profile. “Souhile Assaf” Accessed March, 2017. http://www.neurotechreports. com/pages/speakerbios05.html. Google Patents. “8,577,106” Accessed March, 2017. https://patents.google.com/ patent/US8577106B2/en. Profile. “V.P. Subramanyam Rallabandi” ResearchGate Accessed March, 2017, https://www.researchgate.net/profile/VPSubramanyam_Rallabandi. Company Profile. “National Brain Research Centre” Wikipedia Accessed March, 2017. https://en.wikipedia.org/wiki/National_Brain_Research_Centre. Google Patents. “8,575,150” Accessed March, 2017. https://patents.google.com/ patent/US8575150B2/en. Profile. “Joey Methot” LinkedIn Accessed March, 2017. https://www.linkedin. com/in/joey-methot-89705012/. Google Patents. “8,558,003” Accessed March, 2017. https://patents.google.com/ patent/US8558003B2/en. Profile. “David R. Elmaleh” Accessed March, 2017. http://aztherapies.com/ company-info/leadership-team/. Company Profile. “General Hospital Corporation” Bloomberg Accessed March, 2017. http://www.bloomberg.com/research/stocks/private/snapshot.asp?privcap Id=899167. Google Patents. “8,557,960” Accessed March, 2017. https://patents.google.com/ patent/US8557960B2/en. Profile. “Kil L. Kim” Accessed March, 2017. file:///C:/Users/Mel/Downloads/ KIM%20Kil-Lyong.pdf. Organization Profile. “Sungkyunkwan University” Wikipedia Accessed March, 2017. https://en.wikipedia.org/wiki/Sungkyunkwan_University. Google Patents. “8,557,310” Accessed March, 2017. https://patents.google.com/ patent/US8557310B2/en. Profile. “Stephen C. Perry” Buzzfile Accessed March, 2017. http://www. Google Patents. “8,552,220” Accessed March, 2017. https://patents.google.com/ patent/US8552220B2/en. Profile. “Hachiro Sugimoto” Wikipedia Accessed March, 2017. https://en. Organization Profile. “Kyoto University” Wikipedia Accessed March, 2017. https://en.wikipedia.org/wiki/Kyoto_University. Sulfafurazole. Wikipedia Accessed March, 2017. https://en.wikipedia.org/ wiki/Sulfafurazole. Google Patents. “8,552,041” Accessed March, 2017. https://patents.google. com/patent/US8552041B2/en. Profile. “Daniel Cohen” Bloomberg Accessed March, 2017. http://www. Company Profile. “Pharnext” Accessed March, 2017. https://www.pharnext. com/en/. Fredrick Kunkle. 2015. “Multi-drug approach could be way to treat Alzheimer’s, study suggests” Washington Post January 8, Accessed March, 2017. https://www.washingtonpost.com/local/multi-drug-approach-could-be-way-to-treat-alzheimers-study-suggests/2015/01/08/d28cca48-9738-11e4-aabd-d0b93ff613d5_story.html?utm_term=.0a41fe978873. Google Patents. “8,541,435” Accessed March, 2017. https://patents.google. com/patent/US8541435B2/en. Profile. “Uday Saxena” Bloomberg Accessed March, 2017. http://www.bloomberg. com/research/stocks/people/person.asp?personId=2414261&privcapId=881725. Company Profile. “Kareus Therapeutics” Bloomberg Accessed March, 2017. http://www.bloomberg.com/research/stocks/private/snapshot.asp?privcapid=117638952. Uday Saxena. 2011. “Is Alzheimer's a lifestyle disease?” Nature India doi:10.1038/nindia.2011.10, Accessed March, 2017. http://www.natureasia.com/ en/nindia/article/10.1038/nindia.2011.10. Google Patents. “8,518,391” Accessed March, 2017. https://patents.google.com/ patent/US8518391B1/en. Profile. “Dave Morgan” Accessed March, 2017. https://www.winningthefight. org/research-committee.html. Ann Napoletan. 2013. “Spotlight on Dave Morgan, PhD, Alzheimer’s Researcher” The Long and Winding Road, Accessed March, 2016. https://alzjourney.com/ 2013/02/21/spotlight-on-dave-morgan-ph-d-alzheimers-researcher/. Google Patents. “8,492,387” Accessed March, 2017. https://patents.google. com/patent/US8492387B2/en. Profile. “Ivory Hills” LinkedIn Accessed March, 2017. https://www.linkedin. com/in/ivory-hills-706a924/. Company Profile. “Merck, Sharp & Dohme” Bloomberg Accessed March, 2017. http://www.bloomberg.com/research/stocks/private/snapshot.asp?privcapId=97963298. Google Patents. “8,481,701” Accessed March, 2017. https://patents.google.com/ patent/US8481701B2/en. Profile. “Pascale Beurdeley” Accessed March, 2017. https://translate.google.com/ translate?hl=en&sl=fr&u=https://fr.linkedin.com/in/pascale-beurdeley-fehlbaum-259a839&prev=search. Company Profile. “ExonHit Therapeutics” Accessed March, 2017. https://www. Profile. “Jack H. Ladenson” Accessed March, 2017. https://medicine.wustl.edu/ news/about/faculty-recognition/distinguished-faculty-awards/2010-2/jack-h-ladenson-phd/. Organization Profile. “Washington University” Wikipedia Accessed March, 2017. https://en.wikipedia.org/wiki/Washington_University_in_St._Louis. Google Patents. “8,466,121” Accessed March, 2017. https://patents.google.com/ patent/US8466121B2/en. Profile. “Ta-Yuan Chang” Accessed March, 2017. https://geiselmed.dartmouth. edu/faculty/facultydb/view.php?uid=96. Organization Profile. “Trustees of Dartmouth College” Wikipedia Accessed March, 2017. https://en.wikipedia.org/wiki/Board_of_Trustees_of_Dartmouth_ College. Google Patents. “8,461,141” Accessed March, 2017. https://patents. google.com/patent/US8461141B2/en. Company Profile. “Mochida Pharmaceutical” Accessed March, 2017. http://www. Google Patents. “8,452,373” Accessed March, 2017. https://patents.google. com/patent/US8452373B2/en. Profile. “Jason C. Pych” LinkedIn Accessed March, 2017. https://www.linkedin. com/in/jasonpych/. Google Patents. “8,445,535” Accessed March, 2017. https://patents.google. com/patent/US8445535B1/en. Profile. “Samuel T. Henderson” Accessed March, 2017. http://www.accera pharma.com/#team. Company Profile. “Accera” Bloomberg Accessed March, 2017. http://www. Samuel T Henderson. 2004. “High carbohydrate diets and Alzheimer's disease” Medical Hypotheses 62(5); 689–700. DOI: http://dx.doi.org/10.1016/ j.mehy.2003.11.028, http://www.medical-hypotheses.com/article/S0306-9877(04) 00016-7/abstract. Google Patents. “8,444,977” Accessed March, 2017. https://patents.google. com/patent/US8444977B2/en. Gwyneth Dickey Zakaib. 2016. “Flashy Treatment Synchronizes Neurons, Lowers Aβ in Mice” Alzforum Accessed, 2017. http://www.alzforum.org/news/research-news/flashy-treatment-synchronizes-neurons-lowers-av-mice. Google Patents. “8,426,130” Accessed March, 2017. https://patents.google. com/patent/US8426130B2/en. Profile. “Dietrich A. Stephan” Wikipedia Accessed March, 2017. https://en.wikipedia. org/wiki/Dietrich_Stephan. Organization Profile. “Translational Genomics Research Institute” Bloomberg Accessed March, 2017. http://www.bloomberg.com/research/stocks/private/ snapshot.asp?privcapId=10331204. Arvind Suresh. 2015. “Has FDA approval of 23andMe tests put the personal genetics revolution back on track?” Genetic Literacy Project Accessed March, 2017. https://www.geneticliteracyproject.org/2015/10/23/has-fda-approval-of-23andme-genetic-tests-put-the-personal-genetics-revolution-back-on-track/. Google patents. “8,404,213” Accessed March, 2017. https://patents.google.com/ patent/US8404213B2/en. Profile. “William E. Klunk” The Huffington Post Accessed March, 2017. http://www.huffingtonpost.com/author/william-e-klunk-md-phd. Company Profile. “University of Pittsburgh” Wikipedia Accessed March, 2017. https://en.wikipedia.org/wiki/Commonwealth_System_of_Higher_Education. William E. Klunk. 2015. “For Most People with Alzheimer’s, Ignorance Is Not Bliss” Huffington Post Accessed March, 2017. http://www.huffingtonpost. com/william-e-klunk-md-phd/for-most-people-with-alzheimers-ignorance-is-not-bliss_b_7064752.html. Google Patents. “8,399,473” Accessed March, 2017. https://patents.google.com/ patent/US8399473B2/en. Nicastrin. Wikipedia Accessed March, 2017. https://en.wikipedia.org/ wiki/Nicastrin. Google Patents. “8,398,981” Accessed March, 2017. https://patents.google.com/ patent/US8398981B2/en. Profile. “Tatsuhiko Kodama” EXSKF Accessed March, 2017. http://ex-skf.blogspot.com/2011/07/professor-tatsuhiko-kodama-of-tokyo.html. Google Patents. “8,394,837” Accessed March, 2017. https://patents.google.com/ patent/US8394837B2/en. Profile. “Mattahew G. Stanton” LinkedIn Accessed March, 2017. https://www. linkedin.com/in/matthew-stanton-a2a1a28/. Google Patents. “8,394,380” Accessed March, 2017. https://patents.google.com/ patent/US8394380B2/en. Company Profile. “Primex Clinical Laboratories” Bloomberg Accessed March, 2017. http://www.bloomberg.com/research/stocks/private/snapshot.asp?privcapId= 49790323. Google Patents. “8,389,794” Accessed March, 2017. https://patents.google.com/ patent/US8389794B2/en. Profile. “Arne Lund Jorgensen” Accessed March, 2017. https://translate.google. com/translate?hl=en&sl=da&u=http://pure.au.dk/portal/da/persons/arne-lund-joergensen(d473bf3a-2237-430c-b515-d82f7f0c7d6b)/persons/arne-lund-joergensen(d473bf3a-2237-430c-b515-d82f7f0c7d6b).html&prev=search. Organization Profile. “Aarhus University” Wikipedia Accessed March, 2017. https://en.wikipedia.org/wiki/Aarhus_University. Scilll Staff. 2008. “Seven Little Piggies Make History” Popular Science Accessed March, 2017. http://www.popsci.com/scitech/article/2008-12/seven-little-piggies-make-history. Google Patents. “8,389,547” Accessed March, 2017. https://patents.google.com/ patent/US8389547B2/en. Profile. “Yudith Garcia” LinkedIn Accessed March, 2017. https://www.linkedin. com/in/yigarcia/. Google Patents. “8,389,478” Accessed March, 2017. https://patents.google.com/ patent/US8389478B2/en. Profile. “Nazneen Dewji” Accessed March, 2017. https://www.omicsonline.org/ speaker/nazneen-dewji-university-of-californiausa/. Giles Sheldrick. 2015. “Alzheimer's wonder drug can stop disease in its tracks, say scientists” Express Accessed March, 2017. https://www.omicsonline.org/ speaker/nazneen-dewji-university-of-californiausa/. Google Patents. “8,389,226” Accessed March, 2017. https://patents.google. com/patent/US8389226B2/en. Profile. “Anton Wyss-Coray” Accessed March, 2017. http://curealz.org/ people/tony-wyss-coray. Mitzi Baker. 2007. “Blood test takes step toward predicting Alzheimer's” Stanford News Accessed March, 2017. http://news.stanford.edu/news/2007/october17/med-alzheimers-101707.html. Google Patents. “8,383,347” Accessed March, 2017. https://patents.google. com/patent/US8383347B1/en. Appointment. 2016. “Cognition Life Science Appoints Dr. Chuanhai Cao as Chief Scientific Officer” PR Newswire, Accessed March, 2017. http://www.prnewswire. com/news-releases/cognition-life-science-appoints-dr-chuanhai-cao-as-chief-scientific-officer-300203625.html. Organization Profile. “University of South Florida” Wikipedia Accessed March, 2017. https://en.wikipedia.org/wiki/University_of_South_Florida. Alzmed. 2017. “USF Researcher Develops Therapeutic Vaccine to Combat Alzheimer’s Disease and Neurodegenerative Disorders” Nasdaq Accessed March, 2017. https://globenewswire.com/news-release/2017/01/30/911893/0/en/USF-Researcher-Develops-Therapeutic-Vaccine-to-Combat-Alzheimer-s-Disease-and-Neurodegenerative-Disorders.html. Google Patents, “8,377,954” Accessed March, 2017. https://patents.google. com/patent/US8377954B2/en. Profile. “Shaun R. Stauffer” Accessed March, 2017. http://www.dcproviders online.com/view_speaker.php?id=4468. Google Patents. “8,377,640” Accessed March, 2017. https://patents. Profile. “Zsuzsanna Nagy” Accessed March, 2017. http://www.birmingham. ac.uk/staff/profiles/inflammation-ageing/Nagy-Zsuzsanna.aspx. Google Patents. “8,361,967” Accessed March, 2017. https://patents.google.com/ patent/US8361967B2/en. Organization Profile. “Tianjin Medical University” Wikipedia Accessed March, 2017. https://en.wikipedia.org/wiki/Tianjin_Medical_University. Lai-xiang Lin, et al. 2014. “Feasibility of β-Sheet Breaker Peptide-H102 Treatment for Alzheimer's Disease Based on β-Amyloid Hypothesis” PLoS One Open Access, http://dx.doi.org/10.1371/journal.pone.0112052. Google Patents. “8,354,545” Accessed March, 2017. https://patents.google. com/patent/US8354545B2/en. Profile. “Shawn J. Stachel” LinkedIn Accessed March, 2017. https://www.linkedin. com/in/shawn-stachel-a489884/. Google Patents. “8,349,293” Accessed March, 2017. https://patents.google.com/ patent/US8349293B2/en. Profile, “Claire Corot” Bloomberg Accessed March, 2017. http://www.bloomberg. com/research/stocks/people/person.asp?personId=8836314&privcapId=879424. Company Profile. “Guerbert” Wikipedia Accessed March, 2017. https://en.wikipedia.org/wiki/Guerbet. Google Patents. “8,921,347” Accessed March, 2017. https://patents.google.com/ patent/US8921347B2/en. Profile. “Giulio M. Pasinetti” Wikipedia Accessed March, 2017. https://en. Organization Profile. “Icahn School of Medicine” Wikipedia Accessed March, 2017. https://en.wikipedia.org/wiki/Icahn_School_of_Medicine_at_Mount_Sinai. Google Patents. “8,921,321” Accessed March, 2017. https://patents.google.com/ patent/US8921321B2/en. Google Patents. “8,916,387” Accessed March, 2017. https://patents.google.com/ patent/US8916387B2/en. Profile. “Goran Larson” Accessed March, 2017. http://www.gu.se/english/about_ the_university/staff/?languageId=100001&userId=xlarsg. Google Patents. “8,912,145” Accessed March, 2017. https://patents.google.com/ patent/US8912145B2/en. Profile. “Takeshi Kawarabayashi” Accessed March, 2017. http://www.h-shinnai.jp/blog3/english/. Company Profile. “Hokko Chemical Industry” Accessed March, 2017. http://www.bloomberg.com/research/stocks/private/snapshot.asp?privcapId=881352. Maruyama N., et al. 2014. “Stable accumulation of seed storage proteins containing vaccine peptides in transgenic soybean seeds” Journal of Bioscience and Bioengineering 118(4):441-7, doi: 10.1016/j.jbiosc.2014.04.004. https://www.ncbi.nlm.nih.gov/pubmed/24794626. Google Patents. “8,911,707” Accessed March, 2017. https://patents.google.com/ patent/US8911707B2/en. Profile. “Chester A. Mathis, Jr.” Accessed March, 2017. http://www. PittChronicle. 2008. “Klunk and Mathis Win Prestigious Potamkin Prize for Alzheimer’s Research” University of Pittsburgh Accessed March, 2017. http://www.chronicle.pitt.edu/story/klunk-and-mathis-win-prestigious-potamkin-prize-alzheimer%E2%80%99s-research. Google Patents. “8,895,554” Accessed March, 2017. https://patents.google.com/ patent/US8895554B2/en. Profile. “Virginia Sanders” LinkedIn Accessed March, 2017. https://www. Google Patents. “8,895,548” Accessed March, 2017. https://patents.google.com/ patent/US8895548B2/en. Company Profile. “Shionogi & Company” Wikipedia Accessed March, 2017. https://en.wikipedia.org/wiki/Shionog. Google Patents. “8,877,768” Accessed March, 2017. https://patents.google.com/ patent/US8877768B2/en. Profile. “Thomas N. Chase” Bloomberg Accessed March, 2017. http://www. Company Profile. “Chase Pharmaceuticals” Bloomberg Accessed March, 2017. http://www.bloomberg.com/research/stocks/private/snapshot.asp?privcapId=116403973. Sarah Pringle. 2016. “Allergan Could Pay $1 Billion for Chase Pharma” Real Money Accessed March, 2017. http://realmoney.thestreet.com/articles/11/25/ 2016/allergan-could-pay-1-billion-chase-pharma. Google Patents. “8,877,720” Accessed March, 2017. https://patents.google.com/ patent/US8877207B2/en. Profile. “Sudipta Seal” Accessed March, 2017. http://sudipta-seal.ucf.edu/. Organization Profile. “University of Central Florida Research Foundation” Accessed March, 2017. http://www.research.ucf.edu/foundation.html. University of Central Florida. 2017. “New, old science combine to make faster medical test” ScienceDaily Accessed March, 2017. https://www.sciencedaily.com/ releases/2017/01/170119194531.htm. Google Patents. “8,865,701” Accessed March, 2017. https://patents.google.com/ patent/US8865701B2/en. Company Profile. “Merck Sharp & Dohme” Accessed March, 2017. http://www. Google Patents. “8,859,590” Accessed March, 2017. https://patents.google. com/patent/US8859590B2/en. Profile. “Arun K. Ghosh” Accessed March, 2017. https://www.acsmedchem. org/?nd=Ghosh. Organization Profile. “Purdue Research Foundation” Accessed March, 2017. https://prf.org/. Google Patents. “8,859,020” Accessed March, 2017. https://patents.google. com/patent/US8859020B2/en. Profile. “Benny Antony” Accessed March, 2017. http://www.arjunanatural. com/team-details/dr-benny-antony/. Arjuna Natural Extracts. 2014. 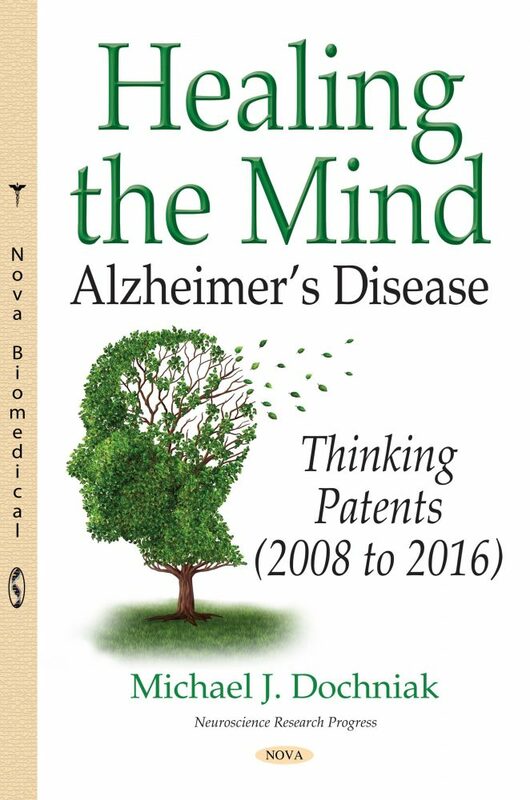 “US Patent Issued for BCM-95 Curcumin for Alzheimer's” PR Newswire Accessed March, 2017. http://www.prnewswire .com/news-releases/us-patent-issued-for-bcm-95-curcumin-for-alzheimers-300001700.html. Google Patents. “8,846,721” Accessed March, 2017. https://patents.google. com/patent/US8846721B2/en. Profile. “Venkateswarlu Akella” Bloomberg Accessed March, 2017. http://www. Hyderabad. 2015. “Indian Pharma industry capable of discovering new drugs in next ten years: Sun Pharma” DNA Accessed March, 2017. http://www.dnaindia. com/money/report-indian-pharma-industry-capable-of-discovering-new-drugs-in-next-10-years-sun-pharma-2119857. Google Patents. “8,822,216” Accessed March, 2017. https://patents.google. com/patent/US8822166B2/en. PR Newswire. 2016. “Dr. Daniel Alkon Appointed President of Neurotrope, Inc.” The Street Accessed March, 2017. https://www.thestreet.com/story/13754766/1/dr-daniel-alkon-appointed-president-of-neurotrope-inc.html. Organization Profile. “Blanchette Rockefeller Neurosciences Institute” Bloomberg Accessed March, 2017. http://www.bloomberg.com/research/stocks/private/ snapshot.asp?privcapId=26653573. Google Patents. “8,821,559” Accessed March, 2017. https://patents.google. com/patent/US8821559B2/en. Profile. “Michael Ward” Accessed March, 2017. https://neuroscience. nih.gov/ninds/Faculty/Profile/michael-ward.aspx. Google Patents. “8,809,303” Accessed March, 2017. https://patents.google. com/patent/US8809302B2/en. Daniela Semedo. 2016. “Exploratory Phase 2 Results of Combination Oral Therapy for Alzheimer’s Justify Further Study” Alzheimer’s News Today Accessed March, 2017. https://alzheimersnewstoday.com/2016/12/16/pharnext-presents-positive-data-from-exploratory-phase-2-trial-pxt864-for-alzheimers/. Peptoids. Wikipedia Accessed March, 2017. https://en.wikipedia.org/wiki/Peptoid. Google Patents. “8,809,275” Accessed March, 2017. https://patents.google. com/patent/US8809275B2/en. Profile. “Melissa Moss” Accessed March, 2017. http://sc.edu/study/ colleges_schools/engineering_and_computing/faculty-staff/moss.php. Organization Profile. “University of South Carolina” Bloomberg Accessed March, 2017. http://www.bloomberg.com/research/stocks/private/snapshot.asp?privcapId =4085116. University of Arkansas. 2015. “Graduate Student Investigating Potential Alzheimer's Treatment Option” NEWS Accessed March, 2017. https://news.uark. edu/articles/26627/graduate-student-investigating-potential-alzheimer-s-treatment-option. Google Patents. “8,809,010 Accessed March, 2017. https://patents.google. com/patent/US8809010B2/en. Profile. “Hans-Ulrich Demuth” Alzforum Accessed March, 2017. https://www. Company Profile. “Probiodrug” Bloomberg Accessed March, 2017. http://www. Google Patents. “8,802,646” Accessed March, 2017. https://patents.google. com/patent/US8802646B2/en. Profile. “Ta-Yuan Chang” Accessed March, 2017. https://geiselmed. dartmouth.edu/faculty/facultydb/view.php?uid=96. Organization Profile. “Trustees of Dartmouth College” Wikipedia Accessed March, 2017. Google Patents. “8,796,448” Accessed March, 2017. https://patents.google. com/patent/US8796448B1/en. Profile. “Vishwanath Lingappa” Accessed March, 2017. https://www.prosetta. com/about/management/. Company Profile. “Prosetta Antiviral” Accessed March, 2017. http://www.businesswire.com/news/home/20120731006596/en/Prosetta-Antiviral-Enters-Multi-year-Antiviral-Drug-Development. Thomas Higgins. 2012. “Prosetta Antiviral Inc Enters into Multi-Year Antiviral Drug Development Collaboration with Bristol-Myers Squibb” Business Wire Accessed March, 2017. http://www.businesswire.com/news/home/20120731006 596/en/Prosetta-Antiviral-Enters-Multi-year-Antiviral-Drug-Development. Profile. “Janne Johansson” Accessed March, 2017. http://ki.se/en/nvs/portrait-of-professor-janne-johansson. Google Patents. “8,785,391” Accessed March, 2017. https://patents.google. com/patent/US8785391B2/en. Company Profile. “Alphabeta” Accessed March, 2017. https://translate.google. com/translate?hl=en&sl=sv&u=http://www.solidinfo.se/foretag/alphabeta-aktiebolag-5985&prev=search. Science News Desk. 2015. “Brichos protein may prevent brain damage in Alzheimer’s” Sciguru Accessed March, 2017. http://www.sciguru.org/newsitem/ 18454/brichos-protein-may-prevent-brain-damage-alzheimer-s.
	Google Patents. “8,778,337” Accessed March, 2017. https://patents.google.com/ patent/US8778337B2/en. Company Profile. “Gnosis” Bloomberg Accessed March, 2017. http://www. Fabio Coppedè. 2010. “One-Carbon Metabolism and Alzheimer’s Disease: Focus on Epigenetics” Current Genomics Jun; 11(4): 246–260. doi: 10.2174/ 138920210791233090. Google Patents. “8,772,042” Accessed March, 2017. https://patents.google.com/ patent/US8772042B2/en. Profile. “Ozkan Yalkinoglu” LinkedIn Accessed March, 2017. https://translate. google.com/translate?hl=en&sl=de&u=https://de.linkedin.com/in/%25C3%25B6zkan-yalkinoglu-md-phd-60656b10&prev=search. Company Profile. “Bayer” Accessed March, 2017. https://en.wikipedia. org/wiki/Bayer. Ronald C. Hendrickson, et al. 2015. “High Resolution Discovery Proteomics Reveals Candidate Disease Progression Markers of Alzheimer’s Disease in Human Cerebrospinal Fluid” PLOS One http://dx.doi.org/10.1371/journal.pone.0135365. Google Patents. “8,753,607” Accessed March, 2017. https://patents.google. com/patent/US8753607B2/en. Profile. “Manuela G. Neuman” Accessed March, 2017. http://www.pharmtox. utoronto.ca/faculty-manuela-g-neuman-msc-phd-fcab. Profile. “Guy Dipierro” LinkedIn Accessed March, 2017. https://www.linkedin. com/in/guy-dipierro-60140a61/. Google Patents. “8,741,336” Accessed March, 2017. https://patents.google. com/patent/US8741336B2/en. Company Profile. “Chrono Therapeutics” Accessed March, 2017. http://www.bloomberg. com/research/stocks/private/snapshot.asp?privcapId=11777906. Google Patents. “8,722,042” Accessed March, 2017. https://patents.google. com/patent/US8722042B2/en. Profile. “Norman Relkin” Bloomberg Accessed March, 2017. http://www. bloomberg.com/research/stocks/people/person.asp?personId=263739326&privcapId=13580387. Company Profile. “Baxter International” Accessed March, 2017. https://en. Google Patents. “8,722,034” Accessed March, 2017. https://patents.google.com/ patent/US8722034B2/en. Profile. “Anna Gosiewska” LinkedIn Accessed March, 2017. https://www.linkedin. com/in/annagosiewska/. Company Profile. “DePuy Synthes Products” http://www.bloomberg.com/research/ stocks/private/snapshot.asp?privcapId=354501. Jun Tang. 2012. “How close is the stem cell cure to the Alzheimer's disease” Neural Degeneration Research 7(1): 66–71, doi: 10.3969/j.issn.1673-5374.2012.01.011 https://www.ncbi.nlm.nih.gov/pmc/articles/PMC4354121/. Google Patents. “8,708,906” Accessed March, 2017. https://patents.google.com/ patent/US8708906B1/en. Profile. “Allen J. Orehek” LinkedIn Accessed March, 2017. https://www.linkedin. com/in/allen-orehek-md-243a2656/. Orehek AJ. 2012. “The micron stroke hypothesis of Alzheimer's disease and dementia” Medical Hypotheses 78(5):562-70. doi: 10.1016/j.mehy.2012.01.020. https://www.ncbi.nlm.nih.gov/pubmed/22381661. Google Patents. “8,697,939” Accessed March, 2017. https://patents.google.com/ patent/US8697939B2/en. Profile. “Yi-Ming Chen” Accessed March, 2017. https://translate.google.com/ translate?hl=en&sl=zh-TW&u=http://www.vghtc. gov.tw/GipOpenWeb/wSite/ct%3FxItem%3D65368%26ctNode%3D56305%26mp%3D8&prev=search. Organization Profile. “National Yang Ming University” Wikipedia Accessed March, 2017. https://en.wikipedia.org/wiki/National_Yang-Ming_University. Google Patents. “8,697,627” Accessed March, 2017. https://patents.google.com/ patent/US8697627B2/en. Profile. “John J. Alam” Accessed March, 2017. http://www.eippharma.com/ company.html. Company Profile. “EIP Pharma” Accessed March, 2017. Bloomberg Accessed March, 2017. http://www.bloomberg.com/research/stocks/private/snapshot.asp? privcapId=280597237. Biotechnology. 2016. “EIP Pharma, LLC Obtains Proof-Of-Mechanism for Neflamapimod” Bloomberg Accessed March, 2017. http://www.bloomberg.com/ research/stocks/private/snapshot.asp?privcapId=280597237. Google Patents. “8,685,972” Accessed March, 2017. https://patents.google. com/patent/US8685972B2/en. Profile. “Alexey A. Rivkin” LinkedIn Accessed March, 2017. https://www. Profile. “Sang I. Park” Accessed March, 2017. http://prabook.com/web/person-view.html?profileId=411346. Organization Profile. “Korea Center for Disease Control and Prevention” Accessed March, 2017. http://www.ianphi.org/membercountries/memberinformation/ republicofkorea.html. Google Patents. “8,673,949” Accessed March, 2017. https://patents.google. com/patent/US8673949B2/en. Profile. “Charles F. Albright” LinkedIn Accessed March, 2017. https://www. Company Profile. “Bristol-Myers Squibb” Wikipedia Accessed March, 2017. https://en.wikipedia.org/wiki/Bristol-Myers_Squibb. Epothilone D. Alzforum Accessed March, 2017. http://www.alzforum.org/ therapeutics/epothilone-d.
	Google Patents. “8,670,941” Accessed March, 2017. https://patents.google.com/ patent/US8670941B2/en. Profile. “Alfred N. Fonteh” Accessed March, 2017. http://hmri.org/portfolio_ page/alfred-fonteh/. Organization Profile. “Huntington Medical Research Institutes” Wikipedia Accessed March, 2017. https://en.wikipedia.org/wiki/Huntington_Medical_ Research_Institutes. Rachel Dicker. 2016. “Could This Urine Test Predict Alzheimer's Disease?” U.S. News Accessed March, 2017. https://www.usnews.com/news/articles/2016-01-14/alzheimers-may-be-detectable-through-urine-test-study-says. Google Patents. “8,658,134” Accessed March, 2017. https://patents.google.com/ patent/US8658134B2/en. Profile. “Florin V. Chirila” Accessed March, 2017. https://www.linkedin.com/ in/florin-chirila-06b30b29/. Chirila FV, et al. 2014. “Fibroblast aggregation rate converges with validated peripheral biomarkers for Alzheimer's disease” Journal of Alzheimer’s disease 42(4):1279-94. doi: 10.3233/JAD-140672. https://www.ncbi.nlm.nih.gov/pubmed/ 25024330. Google Patents. “8,658,133” Accessed March, 2017. https://patents.google.com/ patent/US8658133B2/en. Profile. “Malcolm Ward” LinkedIn Accessed March, 2017. https://www. Company Profile. “Proteome Sciences” Bloomberg Accessed March, 2017. http://www.bloomberg.com/research/stocks/private/snapshot.asp?privcapId=881750. John Manfredi. “Patent Assignee” LinkedIn https://www.linkedin.com/in/john-manfredi-b68b86a/. Google Patents. “9,198,967” Accessed March, 2017. https://patents.google. com/patent/US9198967B2/en. Profile. “Umberto Cornelli” Accessed March, 2017. https://www.omicsonline. org/committee/Umberto_Cornelli_Loyola_University_School_Of_Medicine_USA_Endocrinology2013/. Cornelli U. 2010. “Treatment of Alzheimer's disease with a cholinesterase inhibitor combined with antioxidants” Neurodegenerative Disease 7(1-3):193-202. doi: 10.1159/000295663. https://www.ncbi.nlm.nih.gov/pubmed/20224285. Google Patents. “9,192,670” Accessed March, 2017. https://patents.google. com/patent/US9192670B2/en. Profile. “Inna Slutsky” LinkedIn Accessed March, 2017. https://www.linkedin. com/in/inna-slutsky-ab81b124/. Organization Profile. “Ramot at Tel-Aviv University” Bloomberg Accessed March, 2017. http://www.bloomberg.com/research/stocks/private/snapshot. asp?priv capId=24926259. American Friends of Tel Aviv University. 2014. “Alzheimer's linked to brain hyperactivity” ScienceDaily, Accessed March, 2017. https://www.sciencedaily. com/releases/2014/06/140630164519.htm. Google Patents. “9,192,644” Accessed March, 2017. https://patents.google.com/ patent/US9192644B2/en. Profile. “Sally A. Frautschy” Accessed March, 2017. http://www.alz.org/research/ video/alzheimers_researchers_frautschy.asp. Organization Profile. “Regents of the University of California “Wikipedia Accessed March, 2017. Louisa Dalton. 2014. “Chemists Blend Two Molecules into One to Combat Alzheimer’s” C&EN Accessed March, 2017. http://cen.acs.org/articles/92/web/ 2014/06/Chemists-Blend-Two-Molecules-One.html. Google Patents. “9,192,591” Accessed March, 2017. https://patents.google.com/ patent/US9192591B2/en. Profile. “Thomas N. Chase” Bloomberg Accessed March, 2017. http://www.bloomberg.com/research/stocks/private/person.asp?personId=21813328&privcapId=116403973. Profile. “Wei-Qin Zhao” LinkedIn Accessed March, 2017. https://www.linkedin. com/in/wei-qin-zhao-0316b412/. Google Patents. “9,187,440” Accessed March, 2017. https://patents.google. com/patent/US9187440B2/en. Profile. “Gerard Griffioen” Accessed March, 2017. https://www.michaeljfox. org/foundation/researchers.php?id=905. Company Profile. “Remynd NV” Bloomberg Accessed March, 2017. http://www.bloomberg.com/research/stocks/private/snapshot.asp?privcapId=6765935. Google Patents. “9,187,420” Accessed March, 2017. https://patents.google. Company Profile. “Lupin Limited” Wikipedia Accessed March, 2017. https://en.wikipedia.org/wiki/Lupin_Limited. Google Patents. “9,181,245” Accessed March, 2017. https://patents.google. Profile. “Frederik Jan Rita Rombouts” LinkedIn Accessed March, 2017. https://www.linkedin.com/in/frederik-rombouts-3b8b661/. Company Profile. “Janssen Pharmaceuticals” Wikipedia Accessed March, 2017. https://en.wikipedia.org/wiki/Janssen_Pharmaceutica. Yoh Matsumoto. 2015. “Leaving the Executive Committee of the Japanese Society for Neuroimmunology” Clinical and Experimental Neuroimmunology Accessed March, 2017. http://onlinelibrary.wiley.com/doi/10.1111/cen3.12183/abstract. Profile. “Eva Kontsekova” Accessed March, 2017. https://translate.google.com/ translate?hl=en&sl=sk&u=https://www.sav.sk/%3Flang%3Den%26doc%3Duser-org-user%26user_no%3D3150&prev=search. Petr Novak, et al. 2017. “Safety and immunogenicity of the tau vaccine AADvac1 in patients with Alzheimer's disease: a randomized, double-blind, placebo-controlled, phase 1 trial” The Lancet 16(2); p123–134, DOI: http://dx.doi.org/ 10.1016/S1474-4422(16)30331-3 http://www.thelancet.com/journals/laneur/ article/PIIS1474-4422(16)30331-3/abstract. Google Patents. “9,149,492” Accessed March, 2017. https://patents.google. com/patent/US9149492B2/en. Profile. “Maximillian A. Rogers” Accessed March, 2017. https://cics.partners. org/people/maximillian_a_rogers. Organization Profile. “Trustees of Dartmouth College” Wikipedia. Accessed March, 2017. https://en.wikipedia.org/wiki/Board_of_Trustees_of_Dartmouth_ College. Google Patents. “9,149,184” Accessed March, 2017. https://patents.google. Profile. “Melanie Crombie Williams Campbell” Accessed March, 2017. https://uwaterloo.ca/institute-nanotechnology/people-profiles/melanie-campbell. Kelly Tatera. 2016. “New Alzheimer’s Tool Could Detect the Disease Decades Before Cognitive Decline Begins” The Science Explorer Accessed March, 2017. http://thescienceexplorer.com/brain-and-body/new-alzheimer-s-tool-could-detect-disease-decades-cognitive-decline-begins. Profile. “Hye-Youn Sung” ResearchGate Accessed March, 2017. https://www.researchgate.net/profile/Hye_Youn_Sung. Google Patents. “9,133,521” Accessed March, 2017. https://patents.google.com/ patent/US9133521B2/en. Organization Profile. “Ewha University-Industry Collaboration Foundation” Accessed March, 2017. https://www.ewha.ac.kr/mbs/ewhaen/subview.jsp?id= ewhaen_010801110000. Google Patents. “9,133,267” Accessed March, 2017. https://patents.google.com/ patent/US9133267B2/en. Profile. “Edward Lee” Accessed March, 2017. http://pathology.med.upenn.edu/ department/people/453/edward-b-lee. Perelman School of Medicine “Translational Neuropathology Research Laboratory” University of Pennsylvania Accessed March, 2017. http://www.med. upenn.edu/tnr/index.shtml. Google Patents. “9,133,178” Accessed March, 2017. https://patents.google. com/patent/US9133178B2/en. Profile. “Susan Roomans” LinkedIn Accessed March, 2017. https://www.linkedin. com/in/sue-roomans-9b4a69a/. Company Profile. “Proximagen” Bloomberg Accessed March, 2017. “http://www. David Phelps. 2012. “Upsher-Smith acquires British biotech firm for up to $554.7 million” Star Tribune Accessed March, 2017. http://www.startribune.com/upsher-smith-acquires-british-biotech-firm-for-up-to-554-7-million/158887835/. Google Patents. “9,127,316” Accessed March, 2017. https://patents.google.com/ patent/US9127316B2/en. Profile. “Matt Huentelman” Accessed March, 2017. https://www.tgen.org/ research/research-faculty/matt-huentelman.aspx#.WLRJklUrLIU. Company Profile. “The Translational Genomics Research Institute” Wikipedia Accessed March, 2017. Wikipedia https://en.wikipedia.org/wiki/Translational_ Genomics_Research_Institute. Angela Gonzales. 2013. “Meet the TGen Alzheimer’s expert who wants to test 1 million people” Pheonix Business Journal Accessed March, 2017. http://www. Google Patents. “9,119,846” Accessed March, 2017. https://patents.google. com/patent/US9119846B2/en. Company Profile. “Neurim Pharmaceuticals” Bloomberg Accessed March, 2017. http://www.bloomberg.com/research/stocks/private/snapshot.asp?privcapId=22212619. Circadin. “Therapeutics” Alzforum Accessed March, 2017. http://www.alzforum. org/therapeutics/circadin. Google Patents. “9,102,752” Accessed March, 2017. https://patents.google. com/patent/US9102752B2/en. Profile. “Chang Y. Wang” Wikipedia Accessed March, 2017. https://en.wikipedia. org/wiki/Chang_Yi_Wang. ” Press Releases Accessed March, 2017. http://www.unitedbiopharma.com/eng/page401_2.html. Google Patents. “9,102,666” Accessed March, 2017. https://patents.google.com/ patent/US9102666B2/en. Profile. “Rajneesh Taneja” Accessed March, 2017. https://www.tballiance.org/ about/staff/team. Company Profile. “Takeda Pharmaceutical” Bloomberg Accessed March, 2017. http://www.bloomberg.com/research/stocks/private/snapshot.asp?privcapId=874540. Pioglitazone. “Therapeutics” Alzforum Accessed March, 2017. http://www. Google Patents. “9,095,126” Accessed March, 2017. https://patents.google.com/ patent/US9095126B2/en. Organization Profile. “Yale University” Wikipedia Accessed March, 2017. https://en.wikipedia.org/wiki/Yale_University. Chen J-H, et al. 2015 “Protection of TGF-β1 against Neuroinflammation and Neurodegeneration in Aβ1–42-Induced Alzheimer’s Disease Model Rats” PLoS ONE 10(2): e0116549. doi: 10.1371/journal.pone.0116549. Google Patents. “9,084,793” Accessed March, 2017. https://patents.google.com/ patent/US9084793B2/en. Profile. “Weiwei Ma” Accessed March, 2017. http://www.joekaibiotech.com/ Management_Team.html. Company Profile. “Bejing Joekai Biotechnology” Accessed March, 2017. http://www.joekaibiotech.com/Home_2I9T.html. Profile. “Chaur-Jong Hu” Accessed March, 2017. http://apsc2016.com.au/ speaker/dr-chaur-jong-hu/. Organization Profile. “Academia Sinica” Wikipedia https://en.wikipedia.org/ wiki/Academia_Sinica. Google Patents. “9,072,730” Accessed March, 2017. https://patents.google.com/ patent/US9072730B2/en. Mark Bradford. 2012. “UC San Diego’s William C. Mobley Recognized for Contributions to Down Syndrome” US San Diego Health Accessed March, 2017. https://health.ucsd.edu/news/Releases/Pages/2012-01-04-mobley-lejeune-award.aspx. Google Patents. “9,066,928” Accessed March, 2017. https://patents.google.com/ patent/US9066928B1/en. Profile. “Steven Estus” Accessed March, 2017. https://physiology.med.uky. edu/users/sestus2#profileTab2. Organization Profile. “University of Kentucky Research Foundation” Accessed March, 2017. http://www.research.uky.edu/rafa/ukrf/. Profile. “Steven Estus” Kentucky University Accessed March, 2017. http://www. Google Patents. “9,066,923” Accessed March, 2017. https://patents.google.com/ patent/US9066923B2/en. Google Patents. “9,051,253” Accessed March, 2017. https://patents.google. com/patent/US9051253B2/en. Profile. “Virginia Sanders” LinkedIn Accessed March, 2017. https://www.linkedin. com/in/virginia-sanders-47b02211. Google Patents. “9,044,503” Accessed March, 2017. https://patents.google.com/ patent/US9044503B2/en. Profile. “Louis B. Hersh” Accessed March, 2017. https://biochemistry.med. uky.edu/users/lhersh. Google Patents. “9,044,437” Accessed March, 2017 https://patents.google.com/ patent/US9044437B2/en. Profile. “Brandon Wustman” Accessed March, 2017. https://www.michaeljfox.org/ foundation/researchers.php?id=675. Profile. “Amicus Therapeutics” Wikipedia Accessed March, 2017. https://en.wikipedia.org/wiki/Amicus_Therapeutics. Alzheimer's Drug Discovery Foundation. 2010. “Alzheimer's Drug Discovery Foundation Funds Amicus Therapeutics Too Advance Pharmacological Chaperone Technology” PRNewswire Accessed March, 2017. http://www.prnewswire. com/news-releases/alzheimers-drug-discovery-foundation-funds-amicus-therapeutics-to-advance-pharmacological-chaperone-technology-93003019.html. Google Patents. “9,037,269” Accessed March, 2017. https://patents.google.com/ patent/US9037268B2/en. Profile. “Eric A. Knight” Accessed March, 2017. http://www.remarkable technologies.com/eric-knight.html. Google Patents. “9,034,923” Accessed March, 2017. https://patents.google.com/ patent/US9034923B2/en. Profile. “Dayan Burke Goodenowe” LinkedIn Accessed March, 2017. https://www.linkedin.com/in/dayangoodenowe/. Company Profile. “Phenomenome Discoveries” Accessed March, 2017. https://www.bloomberg.com/profiles/companies/3664567Z:CN-phenomenome-discoveries-inc.
	Leena Latafat. 2016. “New blood-test could detect risk of developing Alzheimer’s disease” Global News Accessed March, 2017. http://globalnews.ca/news/ 2467545/new-blood-test-could-detect-risk-of-developing-alzheimers-disease/. Google Patents. “9,034,871” Accessed March, 2017. https://patents.google.com/ patent/US9034871B2/en. Profile. “Yevgeniya Klimova” LinkedIn Accessed March, 2017. https://www. Google Patents. “9,034,582” Accessed March, 2017. https://patents.google.com/ patent/US9034582B2/en. Company Profile. “MagQu” Accessed March, 2017. http://www.biowebspin.com/ groups/magqu-co-ltd/. Google Patents. “9,023,607” Accessed March, 2017. https://patents.google.com/ patent/US9023607B2/en. Company Profile. “Intellectual Discovery” Accessed March, 2017. http://www.i-discovery.com/site/eng/overview/about.jsp. Google Patents. “9,012,237” Accessed March, 2017. https://patents.google.com/ patent/US9012237B2/en. Profile. “Ricardo B. Maccioni” Springer Accessed March, 2017. http://www. Google Patents. “9,011,862” Accessed March, 2017. https://patents.google. com/patent/US9011862B2/en. Organization Profile. “University of Bonn” Wikipedia Accessed March, 2017. https://en.wikipedia.org/wiki/University_of_Bonn. Google Patents. “9,005,578” Accessed March, 2017. https://patents.google.com/ patent/US9005578B2/en. Profile. “Timothy M. Shoup” Accessed March, 2017. http://www.massgeneral.org/ imaging/research/radiochemistry_profile/shoup_timothy.aspx. Company Profile. “Fluor Pharma Medical” Accessed March, 2017. https://www. Google Patents. “8,999,994” Accessed March, 2017. https://patents.google. com/patent/US8999994B2/en. Profile. “Abdelouahid Samadi” ResearchGate Accessed March, 2017. https://www. Google Patents. “8,993,833” Accessed March, 2017. https://patents.google. com/patent/US8993833B2/en. Profile. “Carol A. Colton” Accessed March, 2017. https://neurology.duke. edu/faculty/carol-anne-colton. Organization Profile. “Duke University” Wikipedia Accessed March, 2017. https://en.wikipedia.org/wiki/Duke_University. Will Block. 2015. “Can Brain Arginine Reduce Alzheimer’s?” Life Enhancement Magazine Accessed March, 2017. http://www.life-enhancement.com/magazine/ article/3278-can-brain-arginine-reduce-alzheimers. Profile. “Luigi Puglielli” Accessed March, 2017. http://aging.wisc.edu/research/ affil.php?Ident=127. Google Patents. “8,980,884” Accessed March, 2017. https://patents.google.com/ patent/US8980884B2/en. Research Interests. “Luigi Puglielli” Wisconsin University Accessed March, 2017. https://www.medicine.wisc.edu/people-search/people/staff/490/PUGLIELLI_ LUIGI. Profile. “Henry W. Querfurth” Brown University Accessed March, 2017. https://vivo.brown.edu/display/hquerfur. Organization Profile. “Eleanore Bennett Charitable Trust #2” Accessed March, 2017. https://fconline.foundationcenter.org/grantmaker-profile/?key=BENN058& view_format=standard. Henry W. Querfurth, and Frank M. LaFerla. 2010. “Alzheimer’s Disease” New England Journal of Medicine 362:329-344, DOI: 10.1056/NEJMra0909142. Last updated February 9, 2011. Accessed March, 2017 http://www.nejm.org/doi/ pdf/10.1056/NEJMra0909142. Google Patents. “8,951,794” Accessed March, 2017. https://patents.google.com/ patent/US8951794B2/en. Profile. “Seymour J. Singer” Wikipedia Accessed March, 2017. https://en.wikipedia.org/wiki/Seymour_Jonathan_Singer. Profile. “Kuldeep K. Roy” LinkedIn Accessed March, 2017. https://www.linkedin. com/in/kuldeepkroy/. Company Profile. “Fuji Sangyo” Bloomberg Accessed March, 2017. http://www.bloomberg.com/research/stocks/private/snapshot.asp?privcapid=6012247. Akira Nakajima, et al. 2014. “Anti-dementia Activity of Nobiletin, a Citrus Flavonoid: A Review of Animal Studies” Clinical Psychopharmacology and Neuroscience 12(2): 75–82. doi: 10.9758/cpn.2014.12.2.75. Accessed March, 2017. https://www.ncbi.nlm.nih.gov/pmc/articles/PMC4153867/. Profile. “Mary Birchler” LinkedIn Accessed March, 2017. https://www. Company Profile. “Janssen Biotech” Wikipedia Accessed March, 2017. https://en.wikipedia.org/wiki/Janssen_Biotech. Google Patents. “9,529,002” Accessed March, 2017. https://patents.google.com/ patent/US9529002B2/en. Profile. “Balwant Rai” Accessed March, 2017. https://www.omicsonline.com/ editor-biography/Rai/. Oasis Diagnostics Corporation. 2011. “Oasis Diagnostics Corporation and Raikur to Develop Rapid Saliva Test for Diagnosis of Alzheimer's, Parkinson's Diseases” PR Web Accessed March, 2017. http://www.prweb.com/releases/ 2011/9/prweb8825754.htm. Google Patents. “9,522,124” Accessed March, 2017. https://patents.google.com/ patent/US9522124B2/en. Profile. “Luigi Puglielli” Accessed March, 2017. https://www.medicine. wisc.edu/people-search/people/staff/490/PUGLIELLI_ LUIGI. Google Patents. “9,518,101” Accessed March, 2017. https://patents.google. com/patent/US9518101B2/en. Profile. “Michal Novak” Bloomberg Accessed March, 2017. http://www. Company Profile. “Axon Neuroscience” Accessed March, 2017. http://www.axon-neuroscience.eu/. Michael Matis. 2015. “Professor Michal Novak enters a new position in AXON Neuroscience, the new CSO was named Assoc. Prof. Norbert Zilka” Business Wire Accessed March, 2017. http://www.businesswire.com/news/home/2015100100 5631/en/Professor-Michal-Novak-enters-position-AXON-Neuroscience. Google Patents. “9,517,232” Accessed March, 2017. https://patents.google.com/ patent/US9517232B2/en. Profile. “Dennis M. Godek” Accessed March, 2017. http://www.medisynergics. com/about_us. Company Profile. “Medi Synergics” Accessed March, 2017. http://www. Google Patents. “9,517,222” Accessed March, 2017. https://patents.google. com/patent/US9517222B2/en. Profile. “Dayan B. Goodenowe” LinkedIn Accessed March, 2017. https://www. Paul L. Wood, et al. 2010. “Circulating plasmalogen levels and Alzheimer Disease Assessment Scale–Cognitive scores in Alzheimer patients” Journal of Psychiatry and Neuroscience 35(1): 59–62. doi: 10.1503/jpn.090059. https://www.ncbi.nlm. nih.gov/pmc/articles/PMC2799506/. Google Patents. “9,512,227” Accessed March, 2017. https://patents.google.com/ patent/US9512227B2/en. Profile. “Michal Eisenbach-Schwartz” Accessed March, 2017. https://www. Madolyn Bowman Rogers. 2015. “Does Peripheral Immune Activity Tame Alzheimer’s Disease?” Alzforum Accessed March, 2017. http://www.alzforum.org/ news/research-news/does-peripheral-immune-activity-tame-alzheimers-disease. Google Patents. “9,512,191” Accessed March, 2017. https://patents.google. com/patent/US9512191B2/en. Profile. “Nazneen Dewji” Accessed March, 2017. https://www.omicsonline. org/speaker/nazneen-dewji-university-of-californiausa/. Google Patents. “9,505,739” Accessed March, 2017. https://patents.google.com/ patent/US9505739B2/en. Google Patents. “9,500,640” Accessed March, 2017. https://patents.google.com/ patent/US9500640B2/en. Profile. “Hoau-Yan Wang” Accessed March, 2017. https://www.ccny.cuny. edu/profiles/hoau-yan-wang. Company Profile. “Pain Therapeutics” Accessed March, 2017. http://www. Google Patents. “9,498,522” Accessed March, 2017. https://patents.google.com/ patent/US9498522B2/en. Profile. “Peter Blackburn” Accessed March, 2017. http://merciapharma. com/?page_id=23. Company Profile. “Mercia Pharma” Accessed March, 2017. http://merciapharma. Google Patents. “9,492,114” Accessed March, 2017. https://patents.google.com/ patent/US9492114B2/en. Profile. “Eric M. Reiman” Accessed March, 2017. http://banneralz.org/about-us/our-leadership.aspx. Company Profile. “Banner Health” Bloomberg Accessed March, 2017. http://www.bloomberg.com/research/stocks/private/snapshot.asp?privcapId=1801243. S84–S85. October 24, doi:10.1038/502S84a. http://www.nature.com/ nature/journal/v502/n7473_supp/full/502S84a.html. Google Patents. “9,464,322” Accessed March, 2017. https://patents.google.com/ patent/US9464322B2/en. Profile. “Phillip W. Landfield” Kentucky University Accessed March, 2017. https://pharmns.med.uky.edu/users/pwland. Google Patents. “9,464,053” Accessed March, 2017. https://patents.google. com/patent/US9464053B2/en. Profile. “Uday Saxena” Accessed March, 2017. Bloomberg Accessed March, 2017. http://www.bloomberg.com/research/stocks/people/person.asp?personId=2414261&privcapId=881725. Company Profile. “Kareus Therapeutics” Accessed March, 2017. http://www.bloomberg.com/research/stocks/private/snapshot.asp?privcapId=117638952. Uday Saxena. 2011. “Bioenergetics breakdown in Alzheimer's disease: targets for new therapies” International Journal of Physiology, Pathophysiology, and Pharmacology 3(2): 133–139. Accessed March, 2017. https://www.ncbi.nlm.nih. gov/pmc/articles/PMC3134007/. Google Patents. “9,463,253” Accessed March, 2017. https://patents.google.com/ patent/US9463253B2/en. Google Patents, “9,463,157” Accessed March, 2017. https://patents.google.com/ patent/US9463157B2/en. Google Patents. “9,453,069” Accessed March, 2017. https://patents.google.com/ patent/US9453069B2/en. Profile. “David M. Holtzman” Bloomberg Accessed, 2017. http://www.bloomberg. com/research/stocks/private/person.asp?personId=23090408&privcapId=109305932. Company Profile. “Eli Lilly and Company” Wikipedia Accessed March, 2017. https://en.wikipedia.org/wiki/Eli_Lilly_and_Company. Google Patents. “9,447,093” Accessed March, 2017. https://patents.google.com/ patent/US9447093B2/en. Profile. “Clement Denhez” LinkedIn Accessed March, 2017. https://fr. Organization Profile. “University of Reims Champagne-Ardenne” Accessed March, 2017. https://en.wikipedia.org/wiki/University_of_Reims_Champagne-Ardenne. Stotani S, et al. 2016. “DYRK1A inhibition as potential treatment for Alzheimer's disease” Future Medicinal Chemistry 8(6):681-96. doi: 10.4155/fmc-2016-0013. https://www.ncbi.nlm.nih.gov/pubmed/27073990. Bryostatin-1. Wikipedia Accessed March, 2017. https://en.wikipedia.org/wiki/ Bryostatin. Profile. “Rene Etcheberrigaray” Accessed March, 2017. https://public.csr.nih.gov/ aboutcsr/NewsAndPublications/News/Documents/REreleaseDD2014.pdf. Gwyneth Dickey Zakaib. 2016. “Overactive Kinase May Drive Aβ to Depress Synapses” Alzforum Accessed March, 2017. Accessed March, 2017. http://www.alzforum.org/news/research-news/overactive-kinase-may-drive-av-depress-synapses. Google Patents. “9,433,665” Accessed March, 2017. https://patents.google.com/ patent/US9433665B2/en. Profile. “Bira Arya” Accessed March, 2017. https://irp.nih.gov/pi/arya-biragyn. Company Profile. “Cyvax” Accessed March, 2017. http://www.buzzfile.com/ business/Cyvax,-Inc-404-274-3648. B. Dulguun. 2014. “B. Arya: Anti-cancer vaccine that I developed will be used in the USA” The UB Post Accessed March, 2017. http://ubpost.mongolnews.mn/ ?p=8076. Google Patents. “9,427,438” Accessed March, 2017. https://patents.google.com/ patent/US9427438B2/en. Company Profile. “EIP Pharma” Accessed March, 2017. http://www.bloomberg. com/research/stocks/private/snapshot.asp?privcapId=280597237. Company Overview of EIP Pharma. “Obtains Proof-Of-Mechanism for Neflamapimod” Bloomberg Accessed March, 2017. http://www.bloomberg.com/ research/stocks/private/snapshot.asp?privcapId=280597237. Google Patents. “9,422,286” Accessed March, 2017. https://patents.google. com/patent/US9422286B2/en. Profile. “Liviu Mirica” Accessed March, 2017. https://www.chemistry. wustl.edu/faculty/mirica. Diana Lutz. 2016. “Longer-lived imaging agents could hasten Alzheimer’s research” The Source Accessed March, 2017. https://source.wustl.edu/ 2016/02/longer-lived-imaging-agents-hasten-alzheimers-research/. Google Patents. “9,421,348” Accessed March, 2017. https://patents.google.com/ patent/US9421348B2/en. Profile. “Tim Lenihan” Accessed March, 2017. https://www.innovationinmedtech. com/speakerspanelists/. Company Profile. “Swiss Federal Institute of Technology” Wikipedia Accessed March, 2017. https://en.wikipedia.org/wiki/%C3%89cole_Polytechnique_F%C3% A9d%C3%A9rale_de_Lausanne. Google Patents. “9,403,030” Accessed March, 2017. https://patents.google.com/ patent/US9403030B2/en. Profile. “Uri Oron” Accessed March, 2017. https://en-lifesci.tau.ac.il/ profile/oronu. Organization Profile. “Ramot at Tel-Aviv University” Accessed March, 2017. http://www.bloomberg.com/research/stocks/private/snapshot.asp?privcapId=24926259. Farfara D. et al., 2015. “Low-level laser therapy ameliorates disease progression in a mouse model of Alzheimer's disease” Journal of Molecular Neuroscience Feb;55(2):430-6. doi:10.1007/s12031-014-0354-z. https://www.ncbi.nlm.nih.gov/ pubmed/24994540. M. Oll. 2015. “Tallinn University cooperates in Alzheimer's breakthrough” Tallin University Accessed March, 2017. http://news.err.ee/115217/tallinn-university-cooperates-in-alzheimer-s-breakthrough. Google Patents. “9,399,791” Accessed March, 2017. https://patents.google.com/ patent/US9399791B2/en. Profile. “Alessandra D'Azzo” Accessed March, 2017. https://www.uthsc.edu/neuro science/faculty/A_Dazzo.php. Organization Profile. “St. Jude Children's Research Hospital” Accessed March, 2017. https://en.wikipedia.org/wiki/St._Jude_Children's_Research_Hospital. Ida Annunziata, et al. 2013. “Lysosomal NEU1 deficiency affects amyloid precursor protein levels and amyloid-β secretion via deregulated lysosomal exocytosis” doi:10.1038/ncomms3734. Accessed March, 2017. http://www.nature. com/articles/ncomms3734. Google Patents. “9,399,675” Accessed March, 2017. https://patents.google.com/ patent/US9399675B2/en. Profile. “Heloise A. Pereira” Accessed March, 2017. http://pharmacy.ouhsc.edu/ people/view.asp?User=HPEREIRA. Organization Profile. “The Board of Regents of the University of Oklahoma” Accessed March, 2017. http://www.ou.edu/regents/. Kenda Whitman. 2012. “OU scientists receive grant for work in Alzheimer’s protein research” OUDaily Accessed March, 2017. http://www.oudaily.com/ news/ou-scientists-receive-grant-for-work-in-alzheimer-s-protein/article_87a52400-2a07-5246-93fe-41a373a31e11.html. Carbamazepine. Accessed March, 2017. http://epilepsy.emedtv.com/ carbamazepine/carbamazine.html. Google Patents. “9,387,206” Accessed March, 2017. https://patents. google.com/patent/US9387206B2/en. Profile. “Daniel Cohen” Bloomberg Accessed March, 2017. http://www. bloomberg.com/research/stocks/private/person.asp?personId=356377&privcapId=39414143. Disease: Other Treatment Options (Part Three)” Bright Focus Foundation Accessed March, 2017. http://www.brightfocus.org/alzheimers/article/challenging-behaviors-alzheimers-disease-other-treatment-options-part-three. Google Patents. “9,382,221” Accessed March, 2017. https://patents.google.com/ patent/US9382221B2/en. Profile. “Clarence R. Hurt” Bloomberg Accessed March, 2017. http://www. Company Profile. “Prosetta Antiviral” Accessed March, 2017. http://www. Thomas Higgins. 2012. “Prosetta Antiviral Inc Enters into Multi-Year Antiviral Drug Development Collaboration with Bristol-Myers Squibb” Business Wire Accessed March, 2017. http://www.businesswire.com/news/home/2012073100 6596/en/Prosetta-Antiviral-Enters-Multi-year-Antiviral-Drug-Development. Google Patents. “9,377,472” Accessed March, 2017. https://patents.google.com/ patent/US9377472B2/en. Profile. “Corinne Mbebi-Liegeois” Accessed March, 2017. https://translate.google. com/translate?hl=en&sl=fr&u=http://www.reseaudrepano.com/%3Fpage_id%3D446&prev=search. Company Profile. “Amoneta Diagnostics” Accessed March, 2017. http://www. amoneta-diagnostics.com/?page_id=37. Google Patents. “9,376,387” Accessed March, 2017. https://patents.google. com/patent/US9376387B2/en. Profile. “Francis Marsais” LinkedIn Accessed March, 2017. https://translate. google.com/translate?hl=en&sl=fr&u=https://fr.linkedin.com/in/francis-marsais-40a24846&prev=search. Company Profile. “VFP Therapies” Accessed March, 2017. http://www.atlanpole biotherapies.eu/members/vfp-therapies/. Contact Us. “Fighting Alzheimer’s Disease” VFP Therapies Accessed March, 2017. http://www.vfp-therapies.com/. Google Patents. “9,375,418” accessed March, 2017. https://patents.google. com/patent/US9375418B2/en. Profile. “Johan Areberg” LinkedIn Accessed March, 2017. https://translate.google. com/translate?hl=en&sl=da&u=https://dk.linkedin.com/in/johan-areberg-b6576370&prev=search. Company Profile. “H. Lundbeck” Wikipedia Accessed March, 2017. https://en.wikipedia.org/wiki/Lundbeck. Idalopirdine. Wikipedia Accessed March, 2017. https://en.wikipedia.org/ wiki/Idalopirdine. Google Patents. “9,367,817” Accessed March, 2017. https://patents.google.com/ patent/US9367817B2/en. Profile. “Caitlyn M. Chiofolo” Accessed March, 2017. https://www.intelius.com/ people/Caitlyn-Chiofolo/New+Hyde+Park-NY/06zf6p4f91z. Company Profile. “Koninkijke Philips” Wikipedia Accessed March, 2017. https://en.wikipedia.org/wiki/Philips. Google Patents. “9,365,647” Accessed March, 2017. https://patents. google.com/patent/US9365647B2/en. Profile. “Stefan Franz Thomas Weiss” LinkedIn Accessed March, 2017. https://www.linkedin.com/in/stefan-franz-thomas-weiss-220239112/. Organization Profile. “University of The Witwatersrand, Johannesburg” Wikipedia Accessed March, 2017. https://en.wikipedia.org/wiki/University_of_the_ Witwatersrand. Google Patents. “9,365,419” Accessed March, 2017. https://patents.google.com/ patent/US9365419B2/en. Profile. “Hossam Haick” Wikipedia Accessed March, 2017. https://en. Company Profile. “Technion Research & Development Foundation” Bloomberg Accessed March, 2017. http://www.bloomberg.com/research/stocks/private/snap shot.asp?privcapId=13226321. Science Blog. 2016. “Breathalyzer Detects 17 Diseases with One Breath from a Patient” Accessed March, 2017. https://scienceblog.com/491049/breathalyzer-detects-17-diseases-one-breath-patient/. Google Patents. “9,346,839” Accessed March, 2017. https://patents.google.com/ patent/US9346839B2/en. Profile. “ShiDu Yan” Accessed March, 2017. https://pharmtox.ku.edu/shirley-shidu-yan. Kansas University. “Yan Lab” Accessed March, 2017. https://pharmtox. ku.edu/yan-lab. Google Patents. “9,345,753” Accessed March, 2017. https://patents.google.com/ patent/US9345753B2/en. Profile. “Alon Monsonego” Accessed March, 2017. http://fohs.bgu.ac.il/research/ profileBrief.aspx?id=jriVjtdt. Organization Profile. “Ben-Gurion University of the Negev Research and Development Authority” Wikipedia Accessed March, 2017. https://en.wikipedia. org/wiki/Ben-Gurion_University_of_the_Negev. Neuroimmunology Lab. “Prof. Alon Monsonego” Ben-Gurion University Accessed March, 2017. http://fohs.bgu.ac.il/monsonego/. Google Patents. “9,345,722” Accessed March, 2017. https://patents.google.com/ patent/US9345722B2/en. Profile. “Steven Dinh” LinkedIn Accessed March, 2017. https://www.linkedin. com/in/steven-dinh-b2b2469a/. Company Profile. “Emisphere Technologies” Bloomberg Accessed March, 2017. https://www.bloomberg.com/quote/EMIS:US. Google Patents. “9,345,685” Accessed March, 2017. https://patents.google.com/ patent/US9345685B2/en. Google Patents. “9,335,331” Accessed March, 2017. https://patents.google.com/ patent/US9335331B2/en. Profile. “Kelvin H. Lee” Accessed March, 2017. http://www.wedf.org/bio-lee-kelvin-h.
	Organization Profile. “Cornell Research Foundation” Accessed March, 2017. https://www.guidestar.org/profile/16-6050703. Google Patents. “9,315,534” Accessed March, 2017. https://patents.google.com/ patent/US9315534B2/en. Organization Profile. “Board of Regents of the University of Nebraska” Accessed March, 2017. https://nebraska.edu/regents. Google Patents. “9,289,448” Accessed March, 2017. https://patents.google.com/ patent/US9289448B2/en. Profile. “Bingwei Lu” Accessed March, 2017. https://profiles.stanford.edu/ bingwei-lu. Organization Profile. “Board of Trustees of the Leland Stanford Junior University” Accessed March, 2017. http://facts.stanford.edu/administration/. Bingwei Lu. “Current Research and Scholarly Interests” Stanford Profile Accessed March, 2017. https://profiles.stanford.edu/bingwei-lu?tab=research-and-scholarship. Google Patents. “9,285,374” Accessed March, 2017. https://patents.google.com/ patent/US9285374B2/en. Profile. “Maria Zellner” Accessed March, 2017. http://www.biowebspin.com/ members/maria-zellner/. Organization Profile. “Randox Laboratories” Wikipedia Accessed March, 2017. https://en.wikipedia.org/wiki/Randox_Laboratories. Michael Veitinger, et al. 2014. “A platelet protein biochip rapidly detects an Alzheimer’s disease-specific phenotype” ACTA Neuropathologica 128(5): 665–677. doi: 10.1007/s00401-014-1341-8 https://www.ncbi.nlm.nih.gov/pmc/articles/ PMC4201753/. Google Patents. “9,278,092” Accessed March, 2017. https://patents.google.com/ patent/US9278092B2/en. Sarah Pringle. 2016. “Allergan Could Pay $1 Billion for Chase Pharma” Real Money Accessed March, 2017. http://realmoney.thestreet.com/articles/11/25/2016/ allergan-could-pay-1-billion-chase-pharma. Google Patents. “9,271,987” Accessed March, 2017. https://patents.google.com/ patent/US9271987B2/en. Profile. “Yi Zhong” Accessed March, 2017. https://www.cshl.edu/Faculty/Yi-Zhong.html. Company Profile. “Cold Spring Harbor Laboratory” Wikipedia Accessed March, 2017. https://en.wikipedia.org/wiki/Cold_Spring_Harbor_Laboratory. Cold Spring Harbor Laboratory. “Yi Zhong” Accessed March, 2017. https://www.cshl.edu/Faculty/Yi-Zhong.html. Cold Spring Harbor Laboratory. 2012. “Scientists reverse Alzheimer's-like memory loss in animal models by blocking EGFR signaling” ScienceDaily Accessed March, 2017. https://www.sciencedaily.com/releases/2012/09/120924 152535.htm. Google Patents. “9,265,735” Accessed March, 2017. https://patents.google.com/ patent/US9265735B2/en. Profile. “Ralph A. Nixon” Accessed March, 2017. http://cdr.rfmh.org/ PersonalPages/Nixon.html. Organization Profile. “The Research Foundation for Mental Hygiene” Accessed March, 2017. http://corporate.rfmh.org/corporate_info/index.asp?page=about_ the_rf. Gwyneth Dickey Zakaib. 2017. “With PLD3, Forget APP.. Think Lysosome Instead” Alzforum Accessed March, 2017. http://www.alzforum.org/news/research-news/pld3-forget-appthink-lysosome-instead. Google Patents. “9,260,473” Accessed March, 2017. https://patents.google.com/ patent/US9260473B2/en. Profile. “Tai Liang Guo” Accessed March, 2017. http://www.people. vcu.edu/~tlguo/. Organization Profile. “Virginia Commonwealth University” Accessed March, 2017. https://en.wikipedia.org/wiki/Virginia_Commonwealth_University. Google Patents. “9,254,273” Accessed March, 2017. https://patents.google.com/ patent/US9254273B2/en. Organization Profile. “Icahn School of Medicine at Mount Sinai” Accessed March, 2017. https://en.wikipedia.org/wiki/Icahn_School_of_Medicine_at_Mount_Sinai. Google Patents. “9,248,104” Accessed March, 2017. https://patents.google.com/ patent/US9248104B2/en. Profile. “Kirti H. Valia” Accessed March, 2017. http://www.zoominfo.com/p/ Kirti-Valia/170518604. Company Profile. “Core Tech Solutions” Accessed March, 2017. http://www.core techtherapeutics.com/. G. Ravi and N. Vishal Gupta. 2015. “The treatment of alzheimer’s disease by using donopezil loaded transdermal patch” Journal of Chemical and Pharmaceutical Research 7(3):806-813. http://www.jocpr.com/articles/the-treatment-of-alzheimers-disease-by-using-donopezil-loaded-transdermal-patch.pdf. Google Patents. “9,238,626” Accessed March, 2017. https://patents.google.com/ patent/US9238626B2/en. Profile. “Nibaldo Manuel Inestrosa Cantin” Accessed March, 2017. https://translate.google.com/translate?hl=en&sl=es&u=http://biologia.uc.cl/cuerpo-academico/profesor/35&prev=search. Organization Profile. “University of Barcelona” Wikipedia Accessed March, 2017. https://en.wikipedia.org/wiki/University_of_Barcelona. Google Patents. “9,238,149” Accessed March, 2017. https://patents.google.com/ patent/US9238149B2/en. Profile. “Gary W. Arendash” Accessed March, 2017. http://neuroem.com/about-us/. NeuroEM Therapeutics. 2016. “Alzheimer's Clinical Trial Begins with Pioneering Medical Device” Med Device Online Accessed March, 2017. https://www.med deviceonline.com/doc/alzheimer-s-clinical-trial-begins-with-pioneering-medical-device-0001. Google Patents. “9,234,038” Accessed March, 2017. https://patents.google.com/ patent/US9234038B2/en. Profile. “Yong-Keun Jung” Accessed March, 2017. https://www.researchgate.net/ profile/Yong-Keun_Jung. Organization Profile. “Seoul National University Industry Foundation” Accessed March, 2017. https://en.wikipedia.org/wiki/Seoul_National_University.